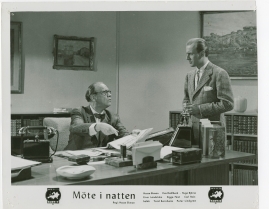 Swedish director, actor, script writer, etc. 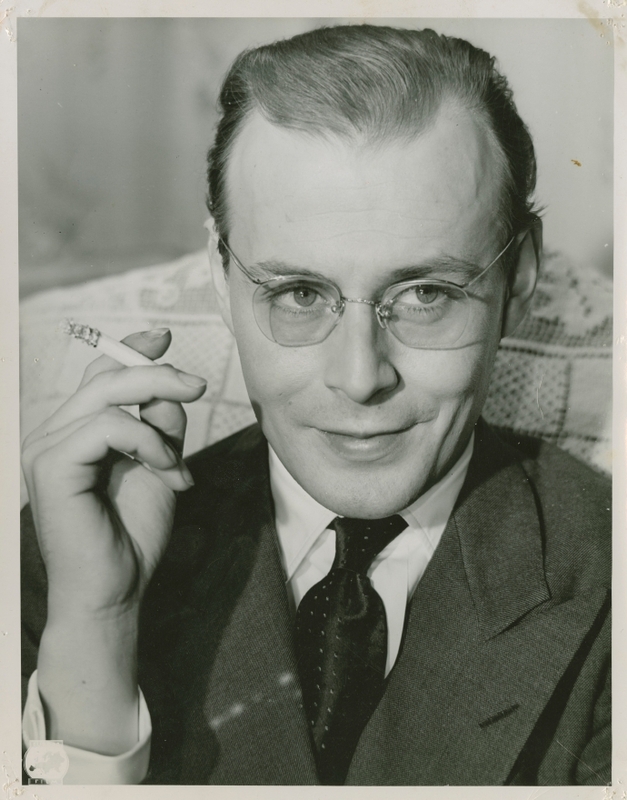 Born as Hans Gösta Ekman in Stockholm. 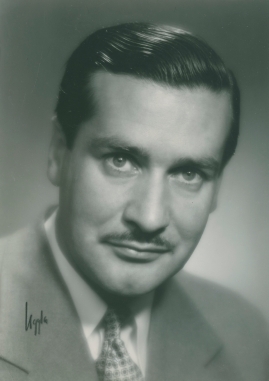 Died in Marbella, Spain. 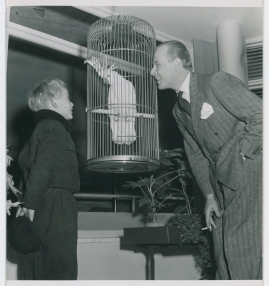 Son of actor Gösta Ekman (the older) and father to the actor and director Gösta Ekman (the younger), the director Mikael Ekman and the actor Stefan Ekman. 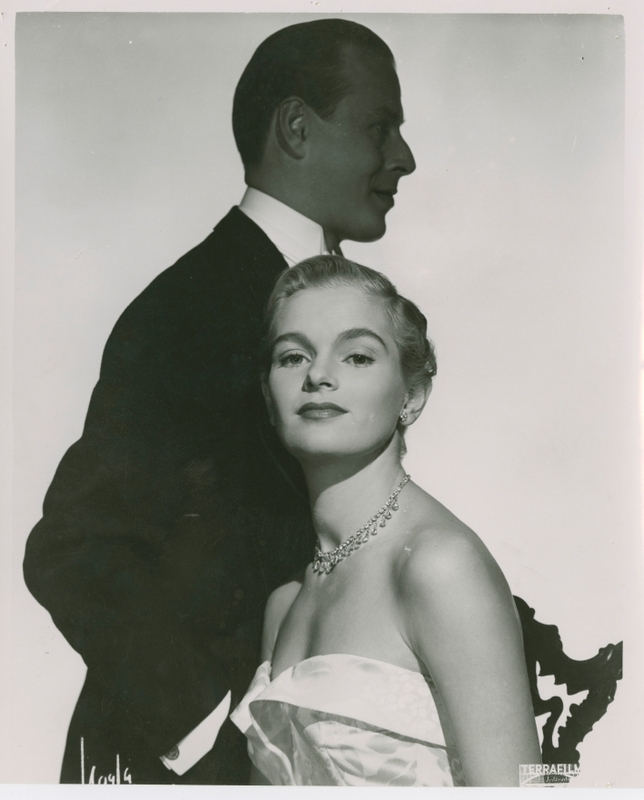 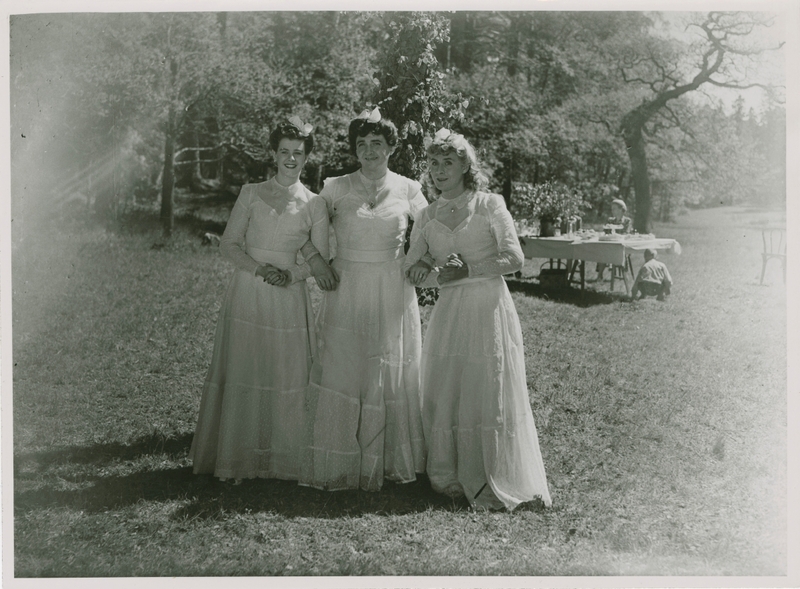 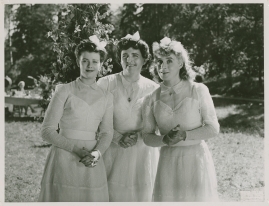 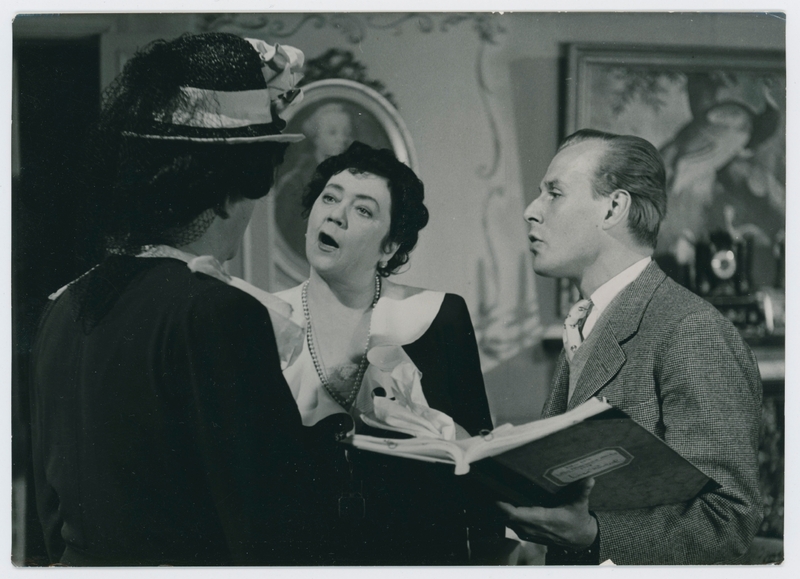 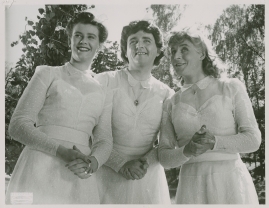 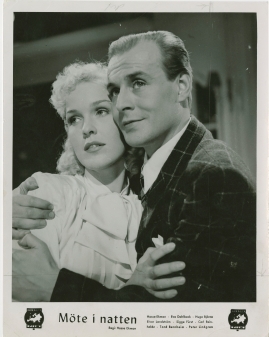 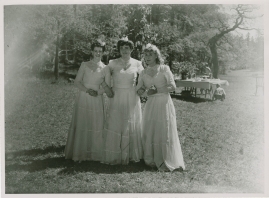 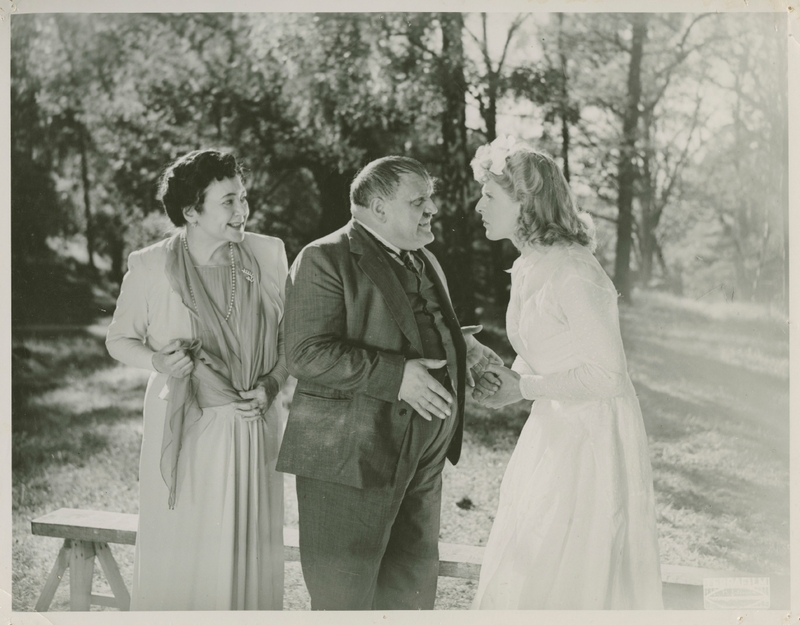 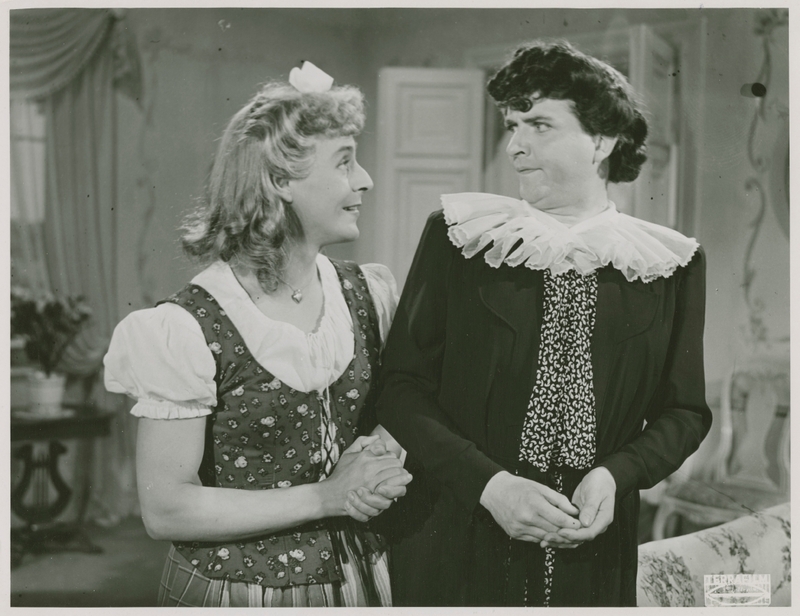 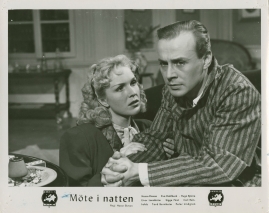 Married to the actresses Eva Henning and Tutta Rolf. 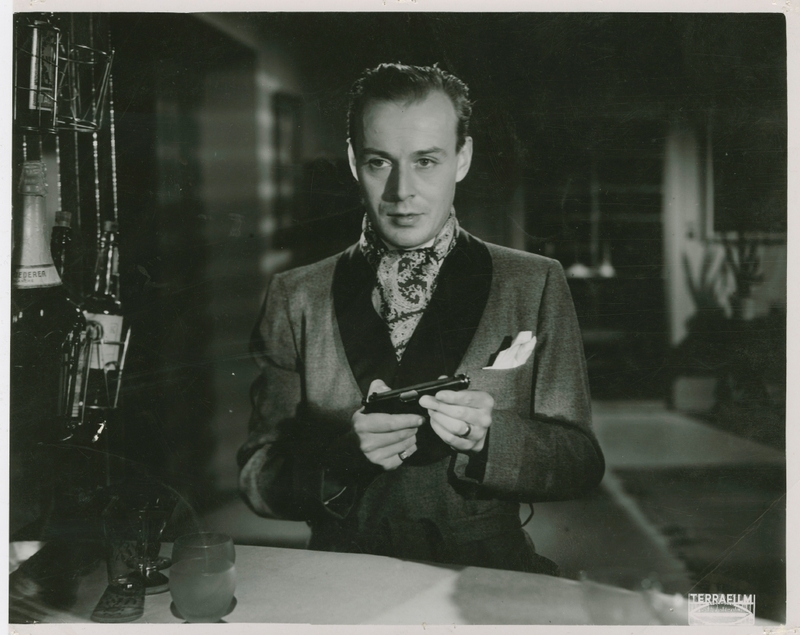 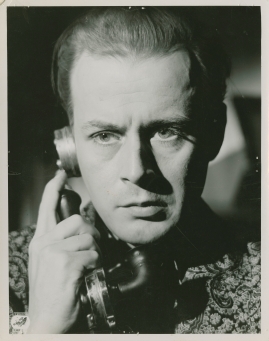 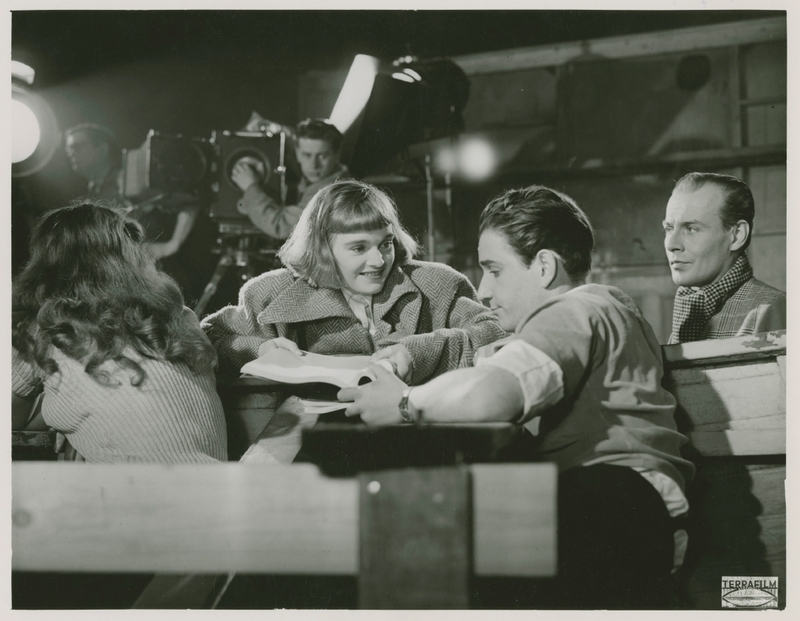 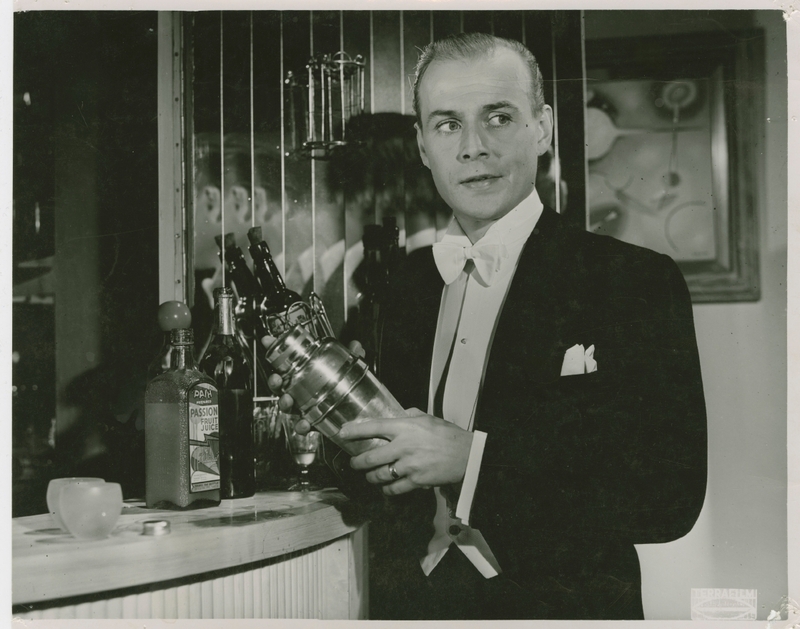 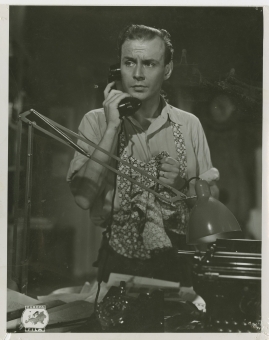 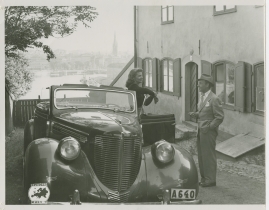 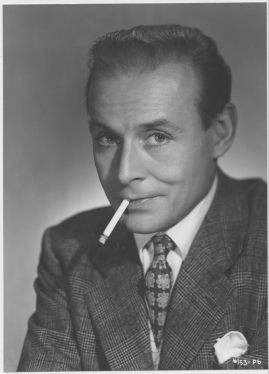 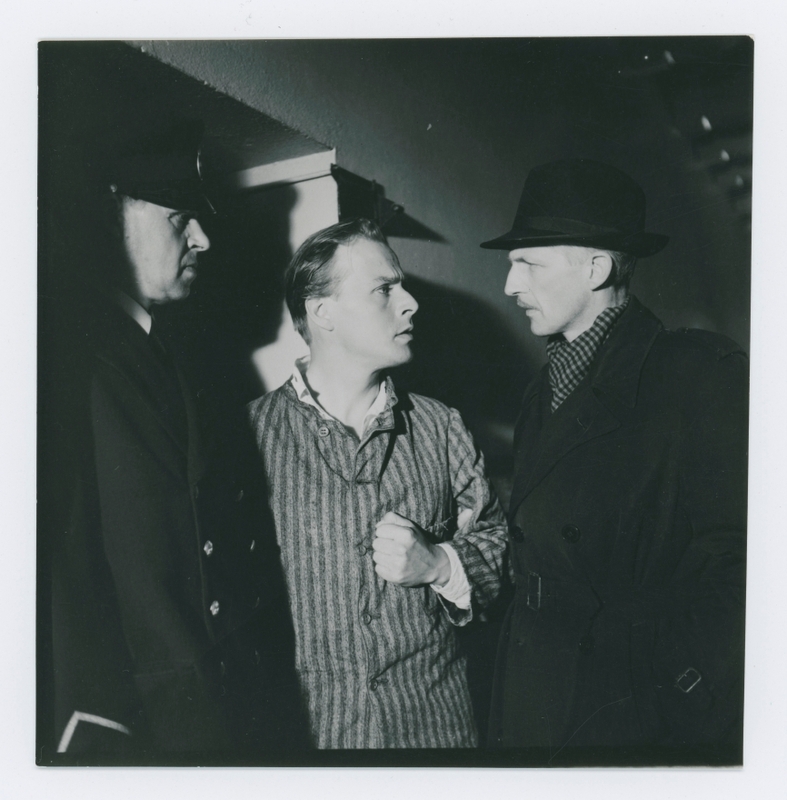 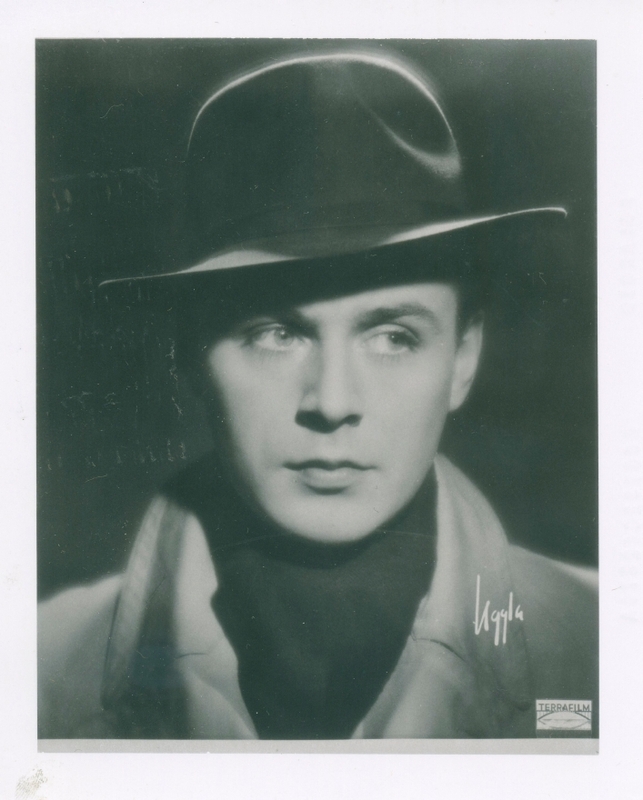 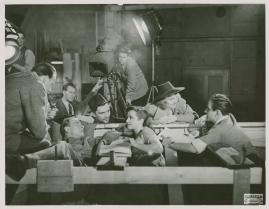 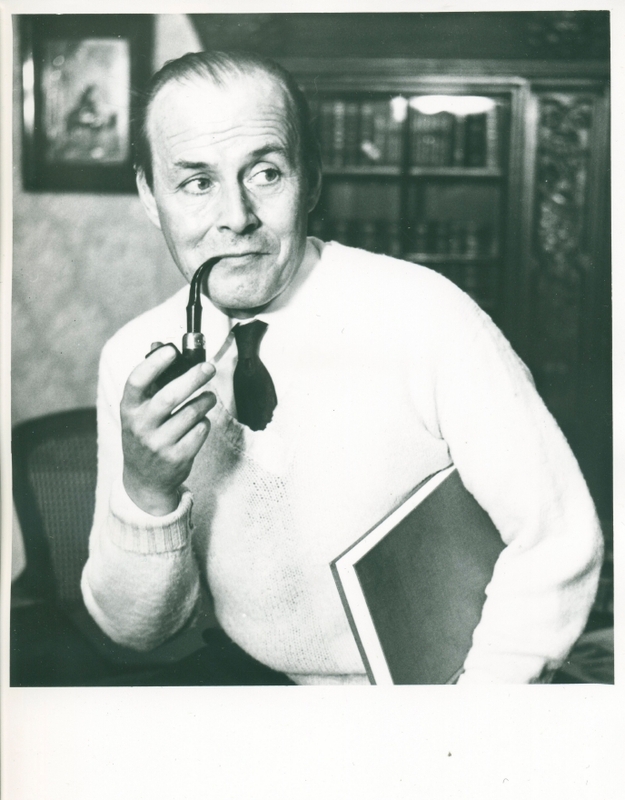 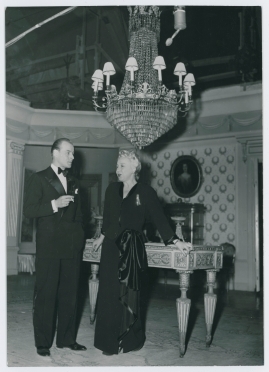 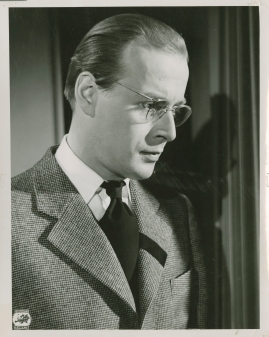 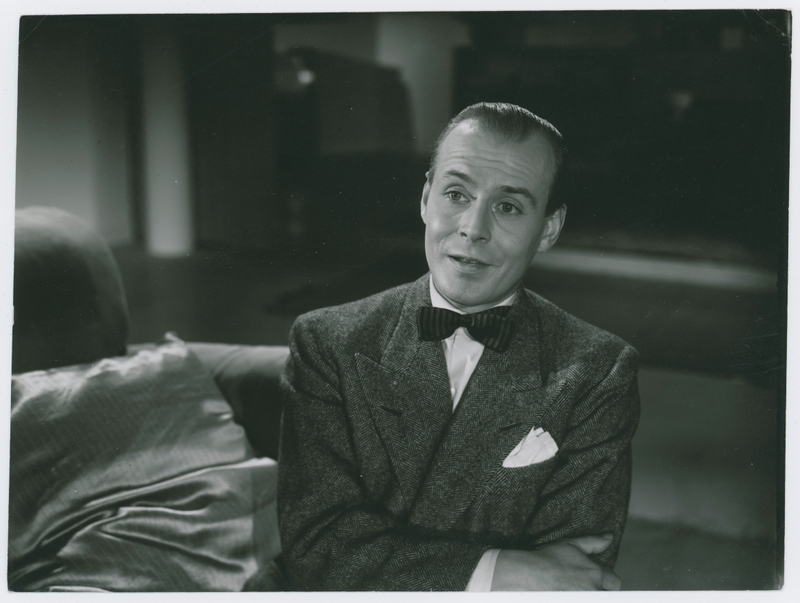 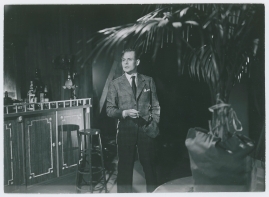 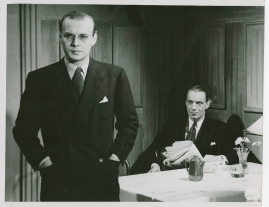 The leading Swedish filmmaker of the 1940s, Hasse Ekman continued to be part of the elite until the mid 1950s. Universally acclaimed by the critics of the time, his works were often voted "best Swedish film of the year". 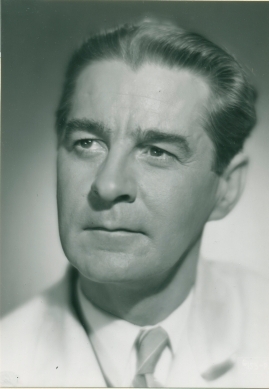 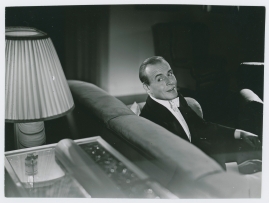 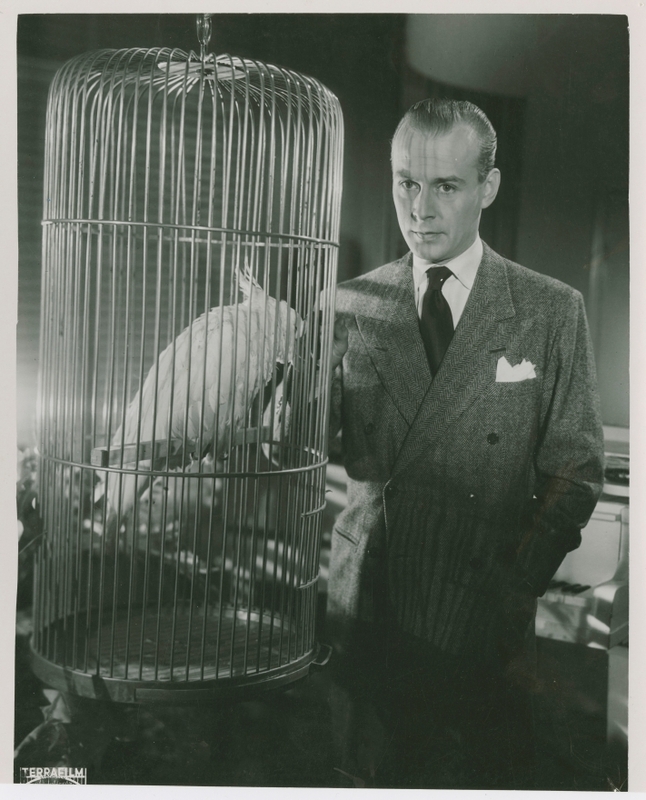 Ekman wrote his own screenplays, sometimes acted as producer and almost always played a leading role himself in his own films, making him a genuine auteur who returned to his favourite themes in film after film right up until his last project in 1964. 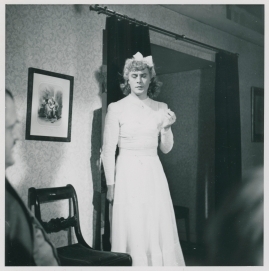 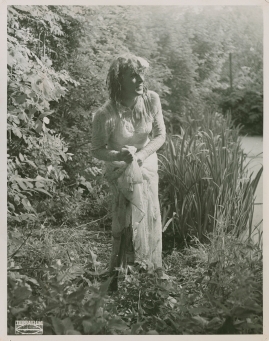 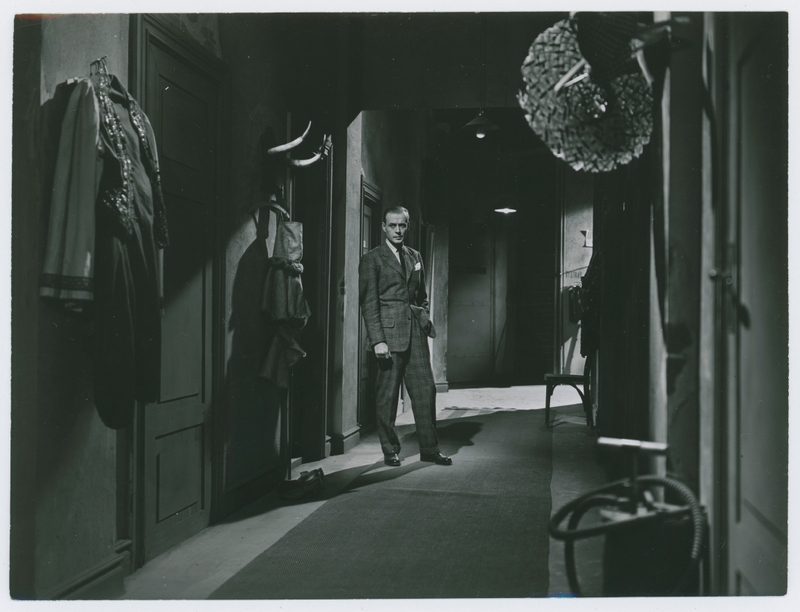 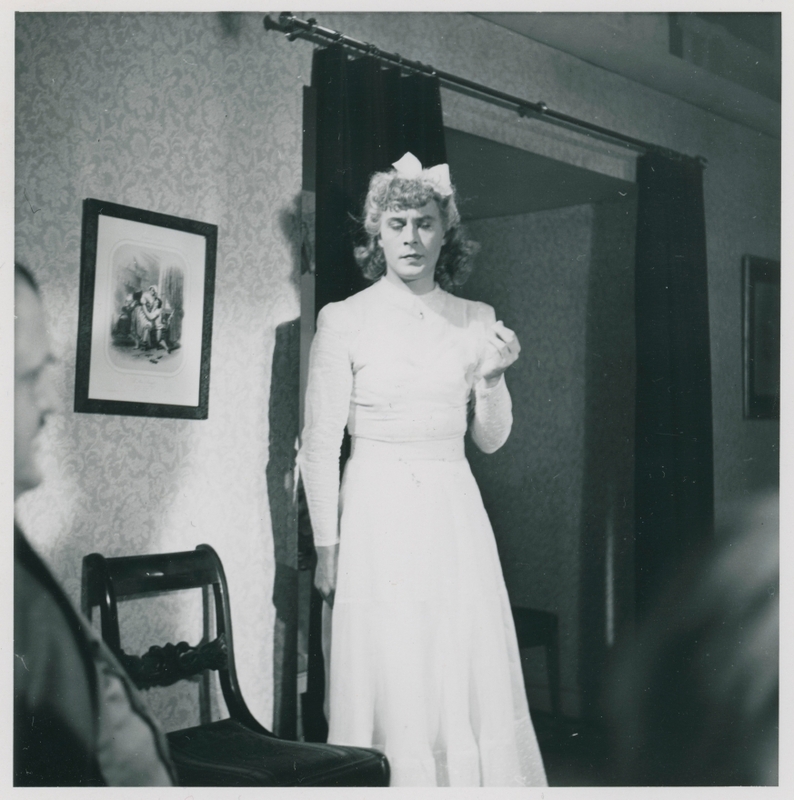 Perhaps the most central theme of Ekman's films is a focus on the theatre and other forms of performance. 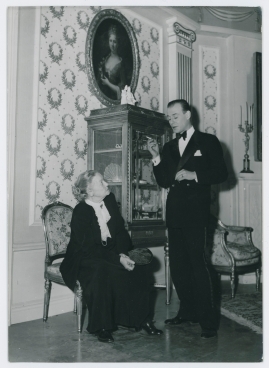 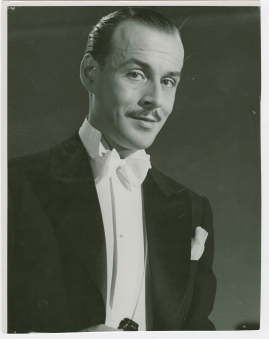 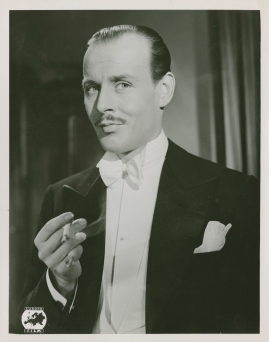 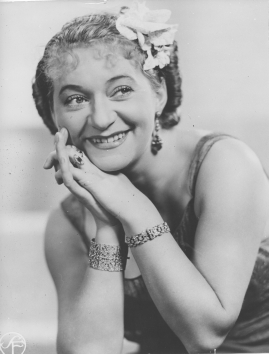 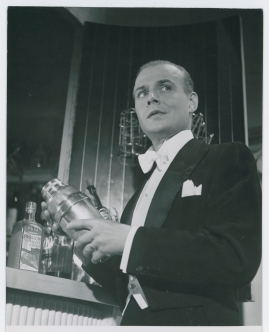 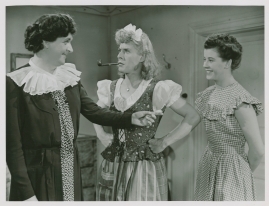 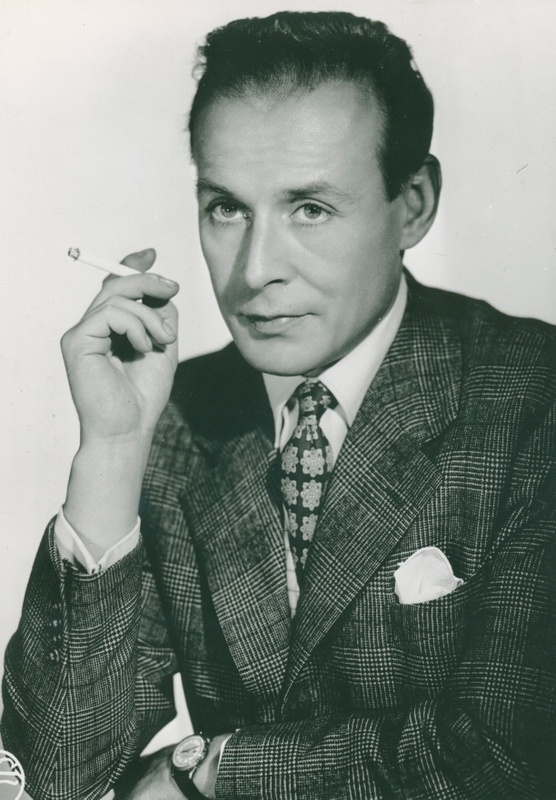 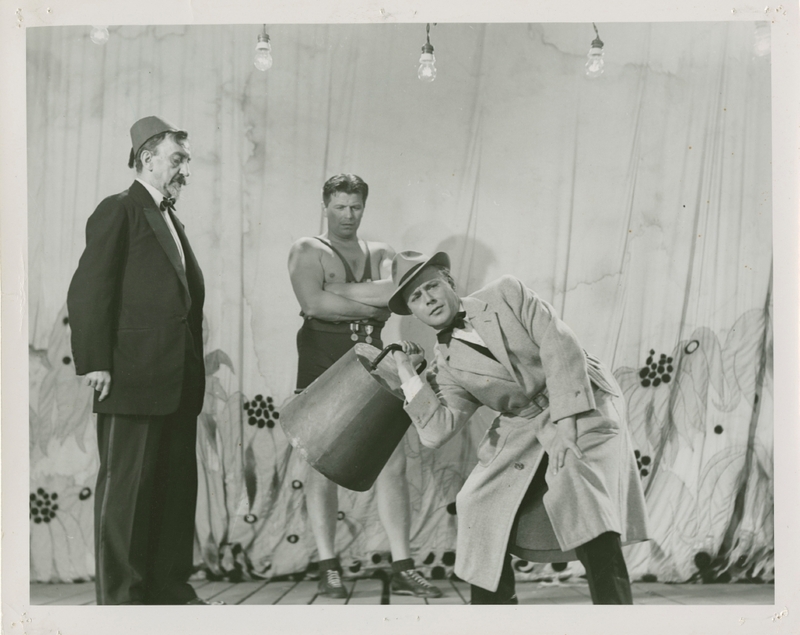 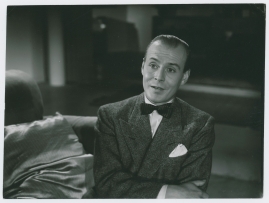 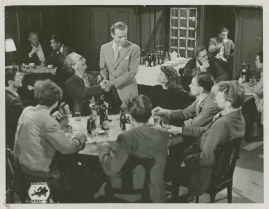 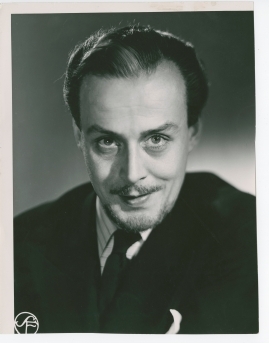 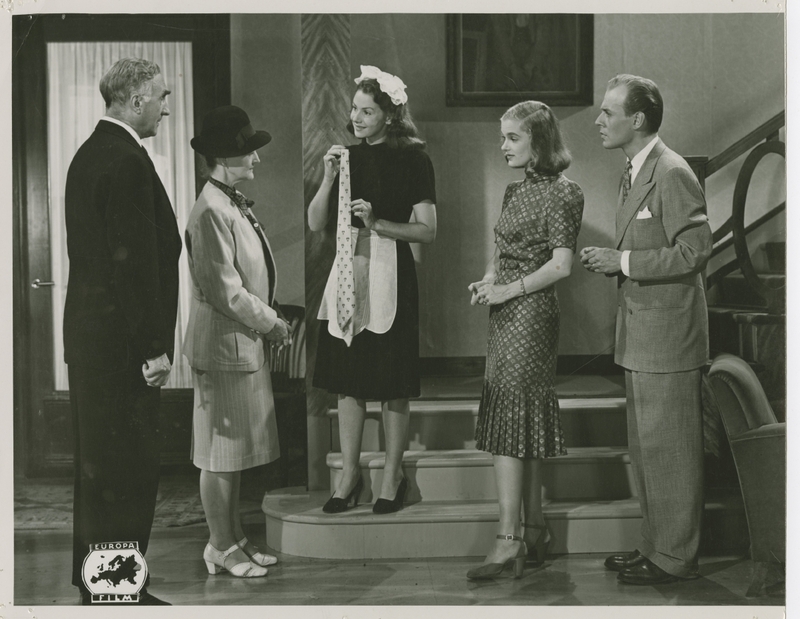 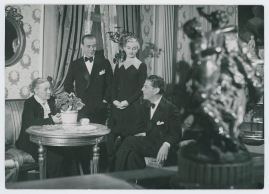 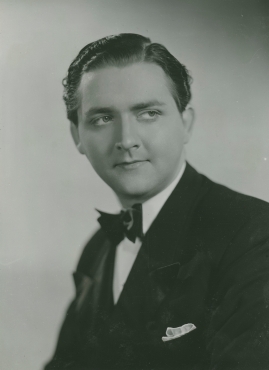 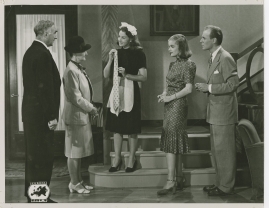 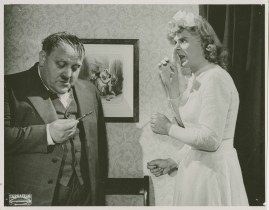 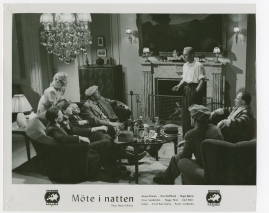 Following his artistic breakthrough with the highly personal Ombyte av tåg ('Change of trains', 1943) he was to return to the stage time after time, often featuring members of a particular theatrical family, the Ankers. His theme is often the conflict between everyday and artistic life, in which relationships are broken or perhaps never entered into because one party puts love of the theatre above love of another person. 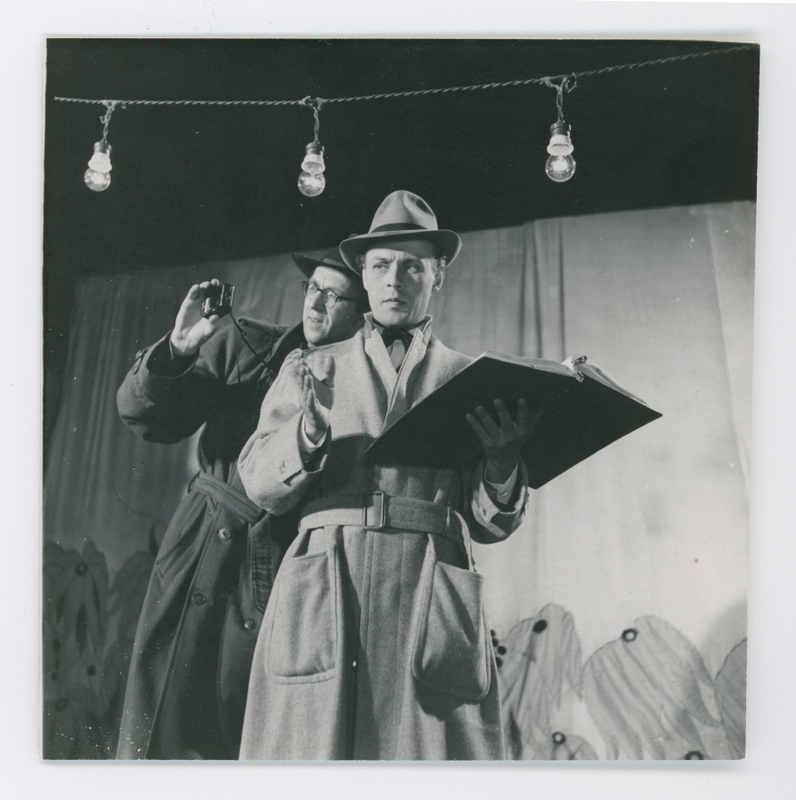 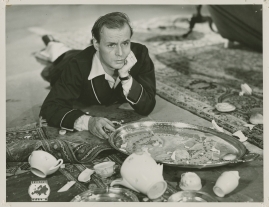 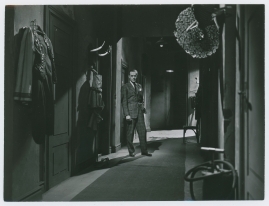 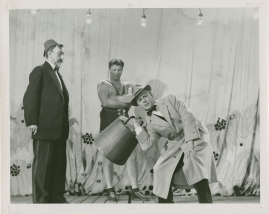 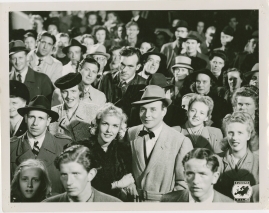 A yearning for the theatre can also be seen as a flight from the routines and regulations of everyday life which Ekman's characters fear above everything else, often in combination with a conflict with a father or father figure. 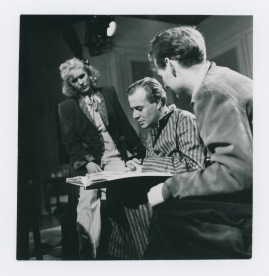 In addition to people involved in the theatre, painters, circus artists and writers also feature in his work. 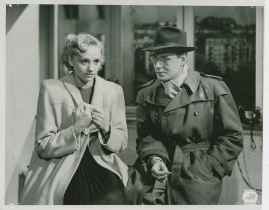 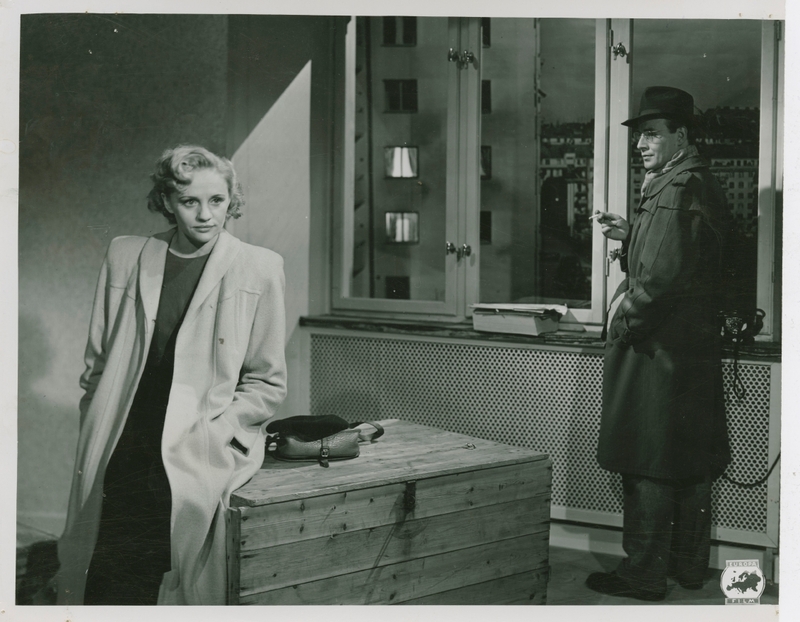 It is barely an exaggeration to say that Ekman's main characters are either driven by a yearning for art or a yearning to emigrate, usually to South America. 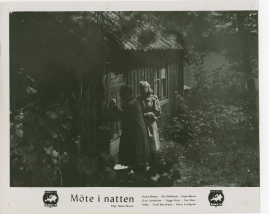 Not typical of Swedish society at the time, his protagonists are often outsiders, people alienated from the times in which they live and from their fellow human beings. 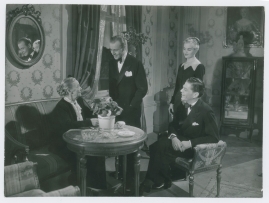 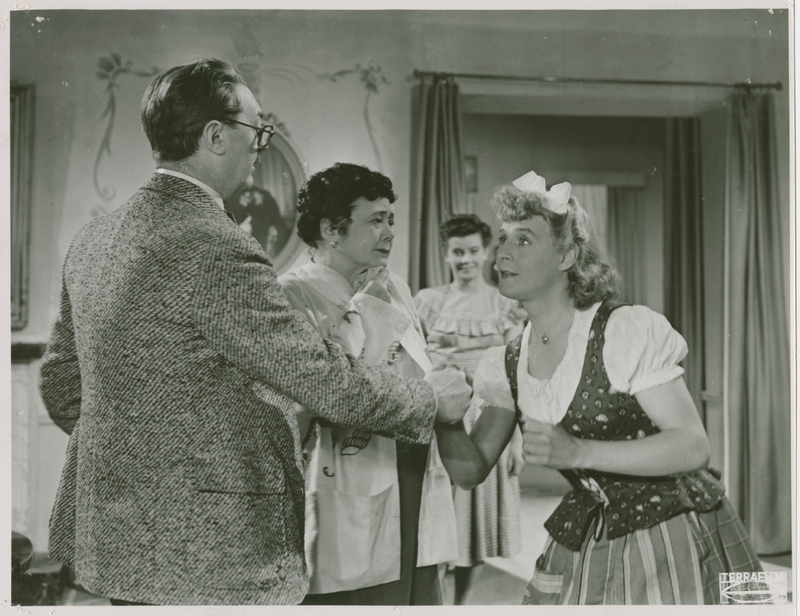 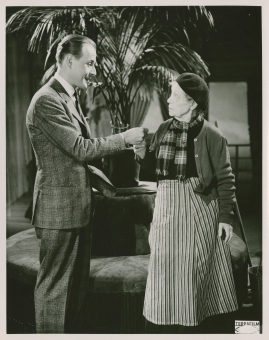 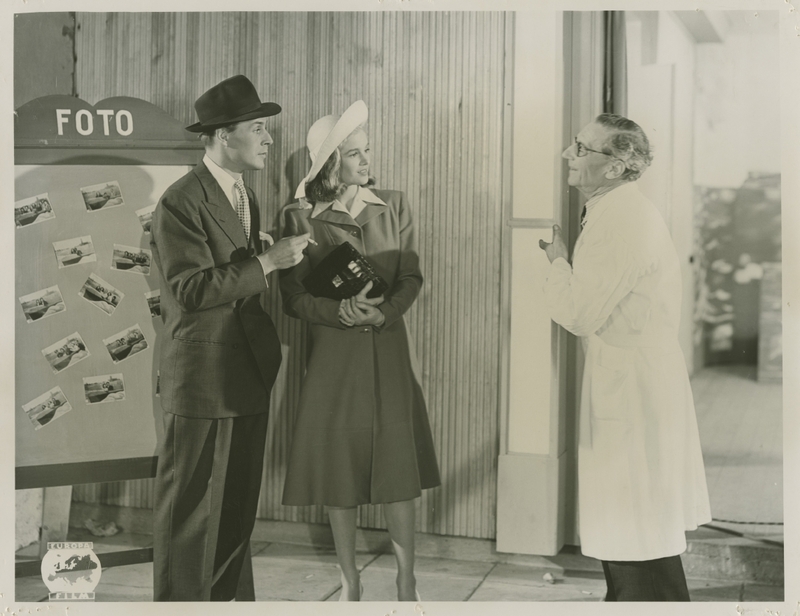 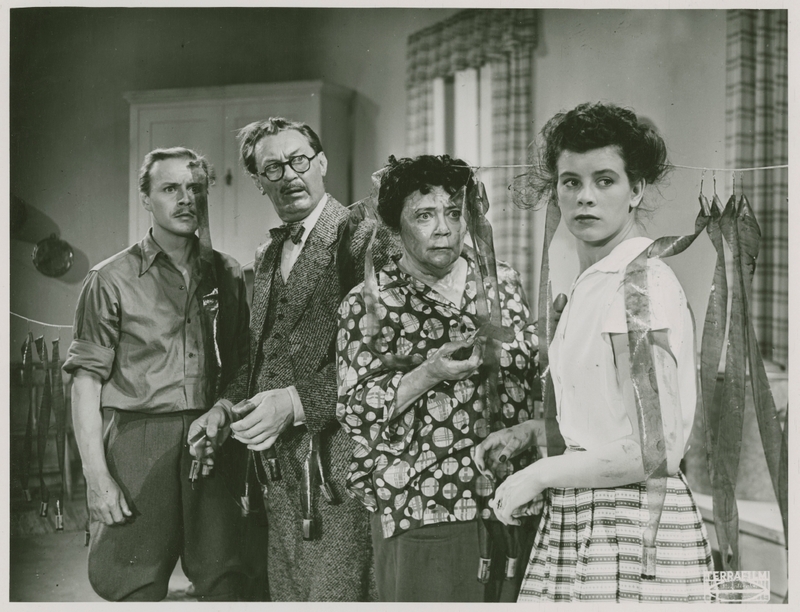 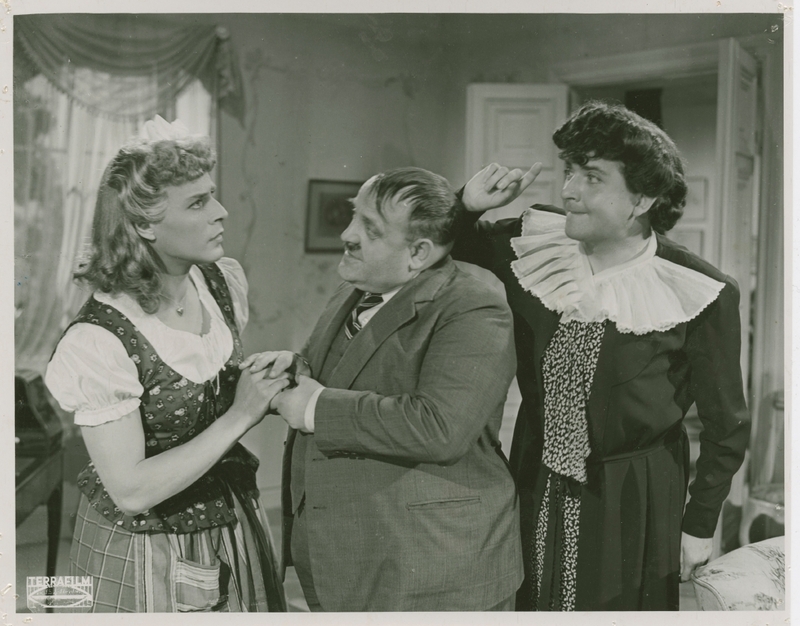 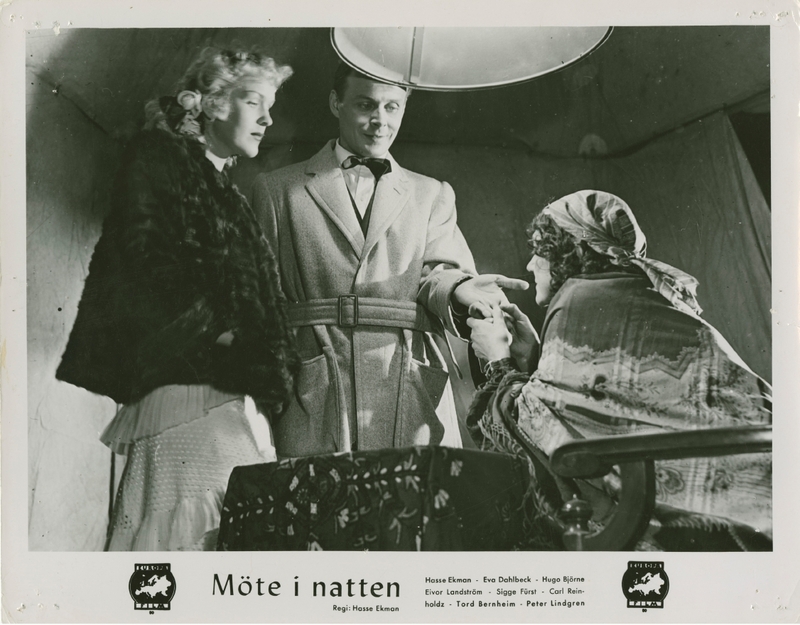 This is true of Girl with Hyacinths (Flicka och hyacinter, 1950), which is often regarded as his best film. 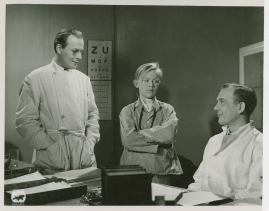 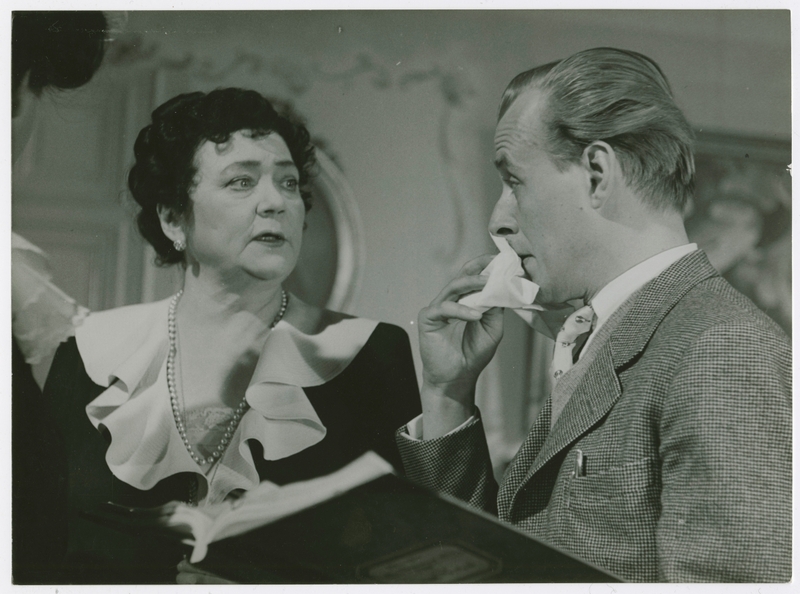 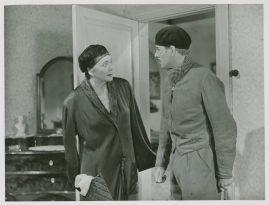 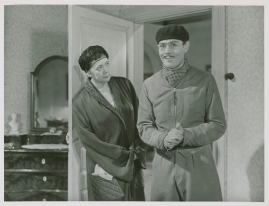 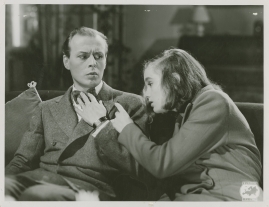 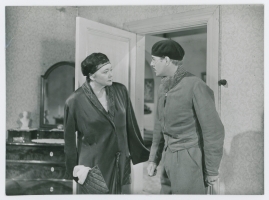 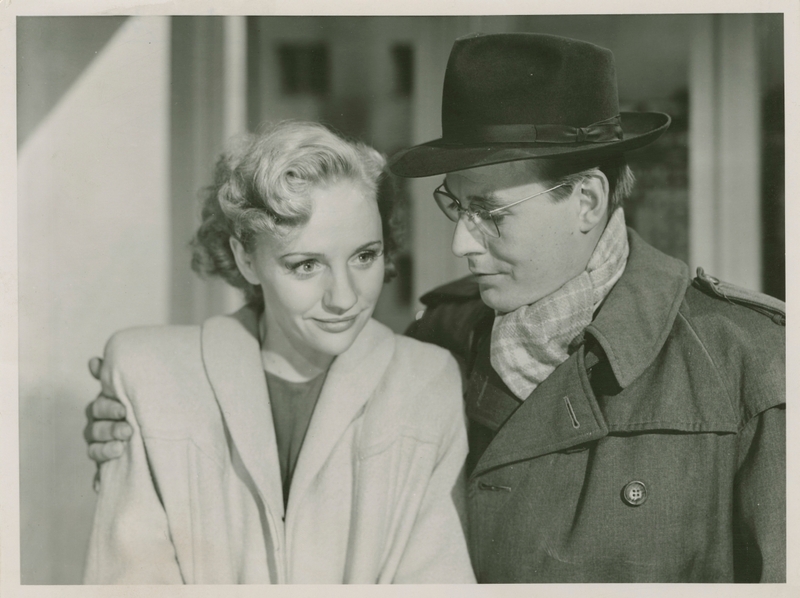 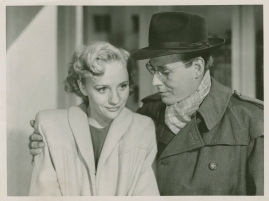 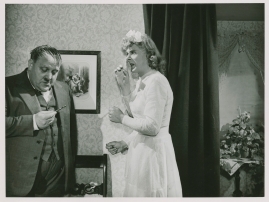 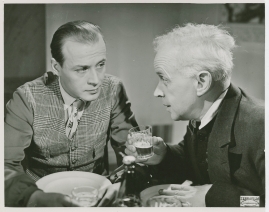 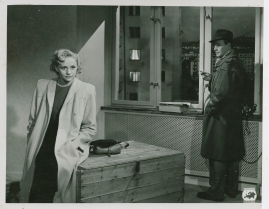 The main character Dagmar Brink (Eva Henning) is more of an outsider than anyone else in Ekman's oeuvre, and the principal male character, Elias Körner (Anders Ek), presents Ekman's most nuanced portrait of the escapist artist. 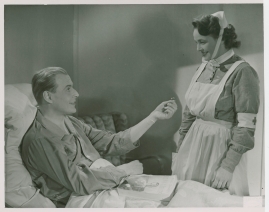 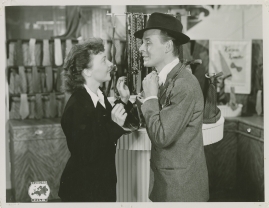 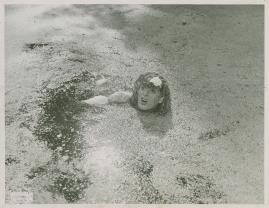 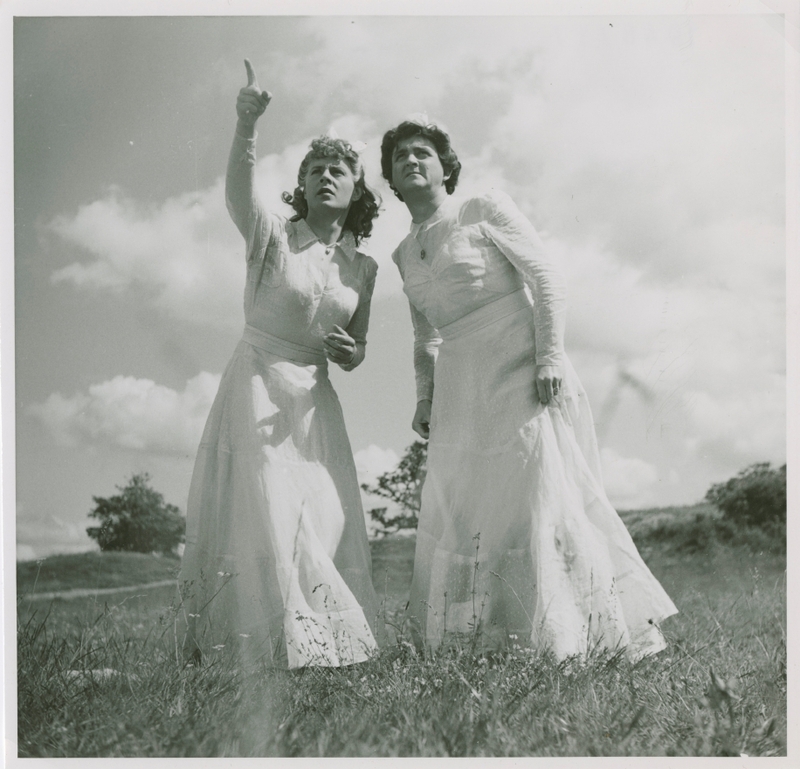 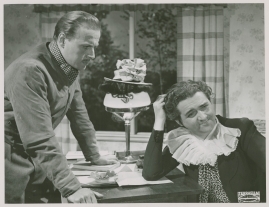 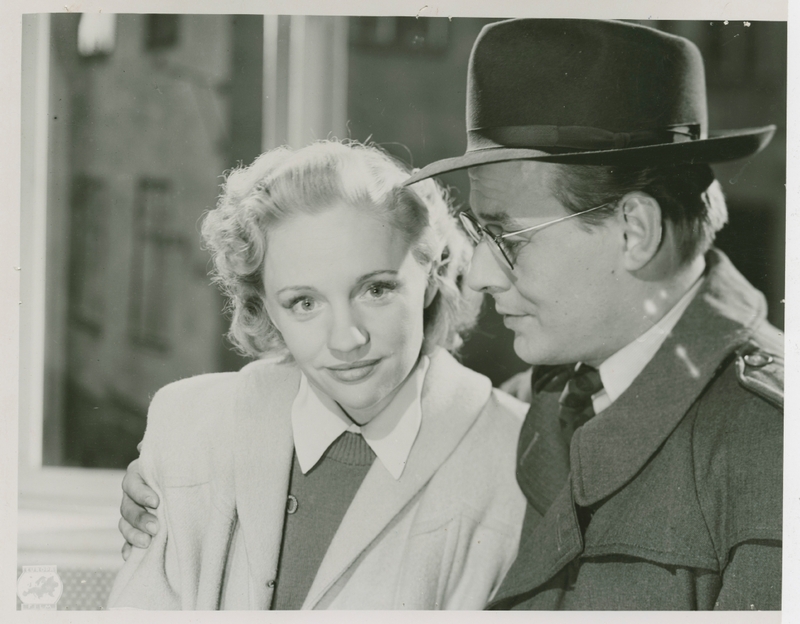 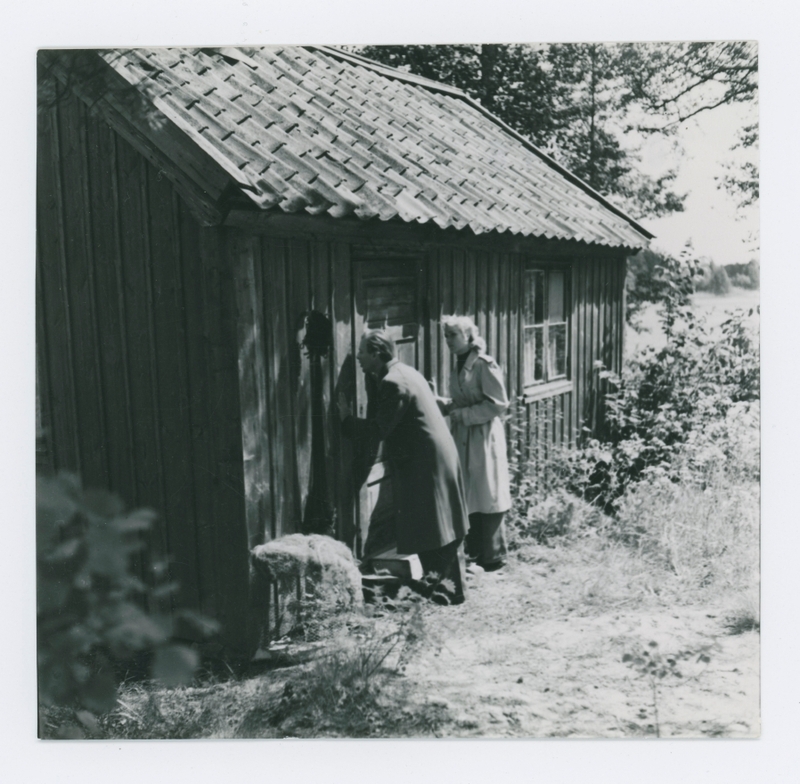 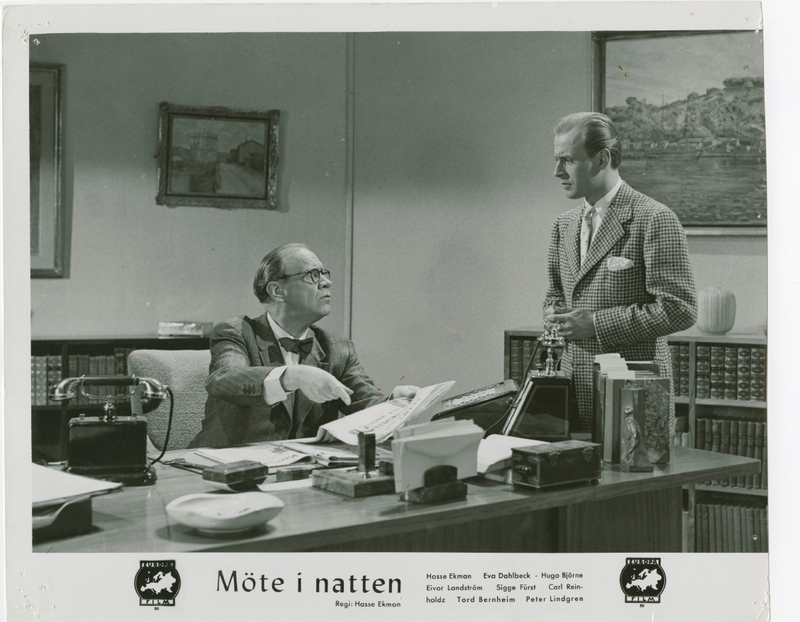 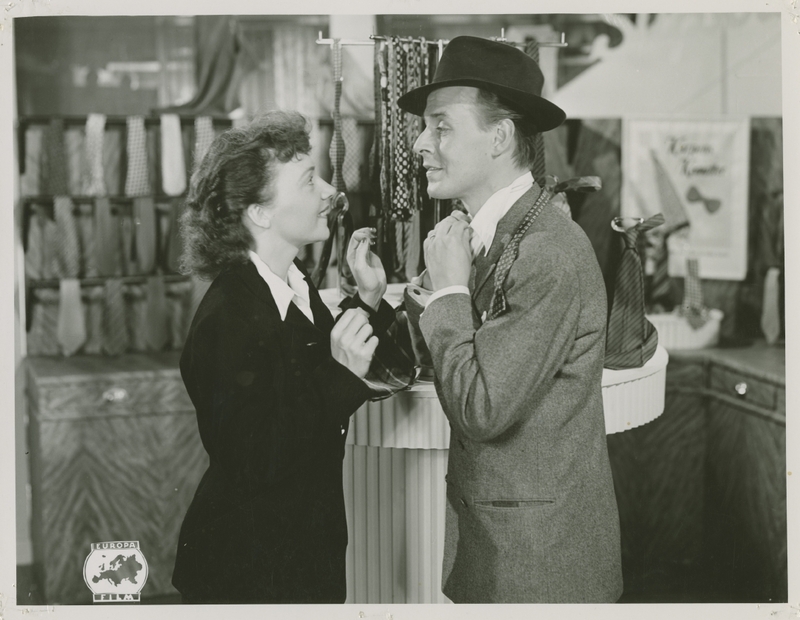 Virtually without exception, all of Ekman's best films explore these themes in various forms, in particular two of his works from 1945, Wandering with the Moon (Vandring med månen) and Kungliga patrasket ('Royal riffraff'). 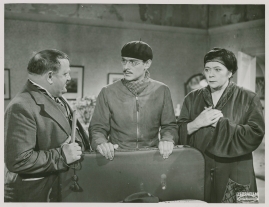 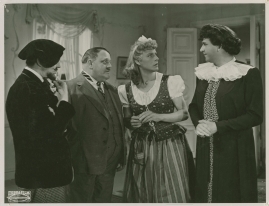 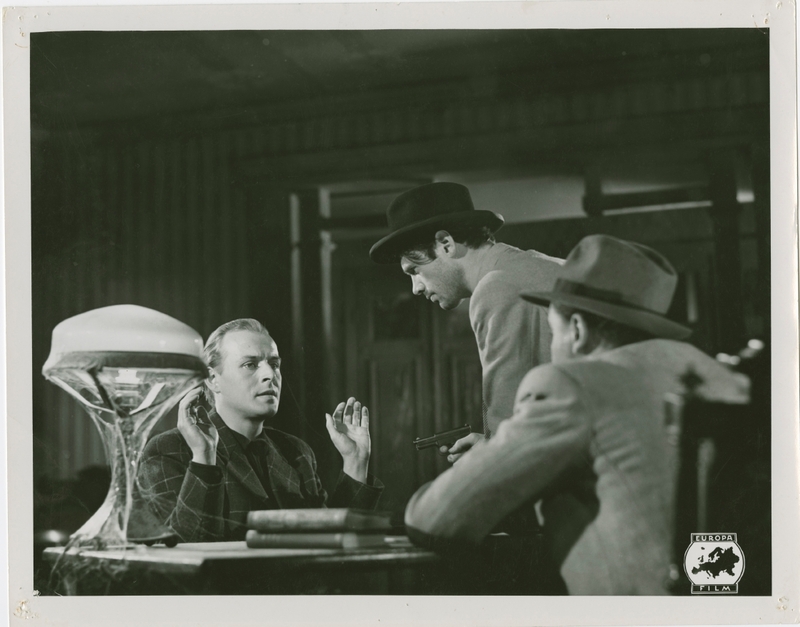 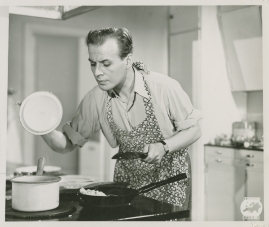 It is in films such as these that Ekman's style and subject matter reveal similarities with the French director Jean Renoir; films with a humanist premise, an openness to the complexities of human nature, a love for his actors and a rhapsodic narrative structure. 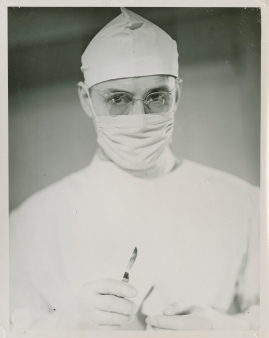 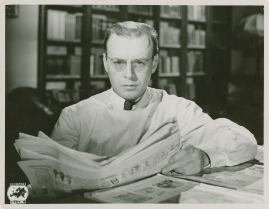 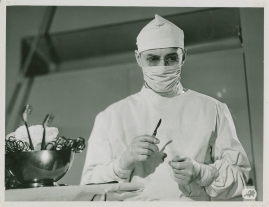 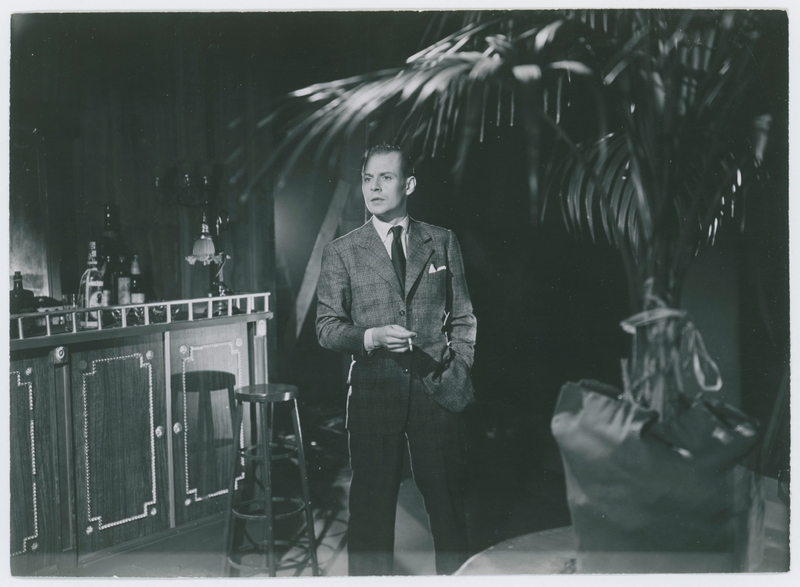 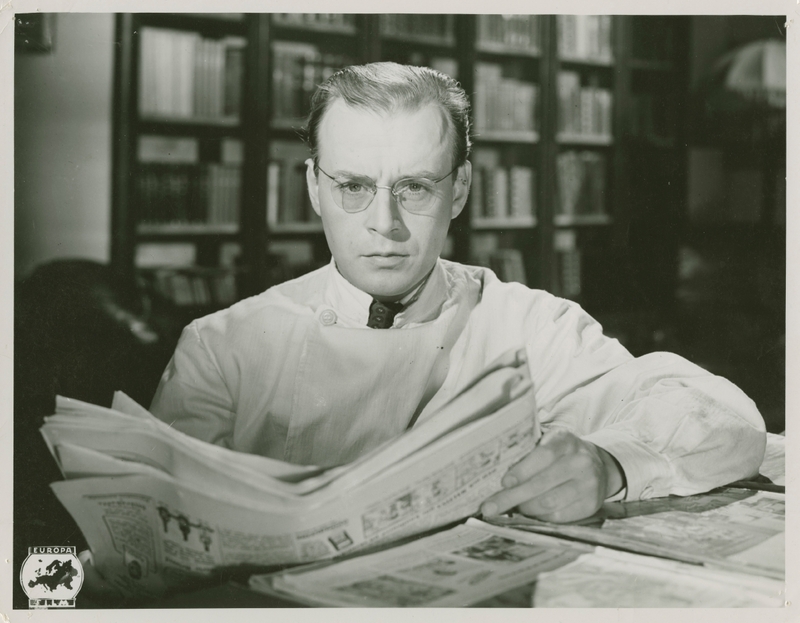 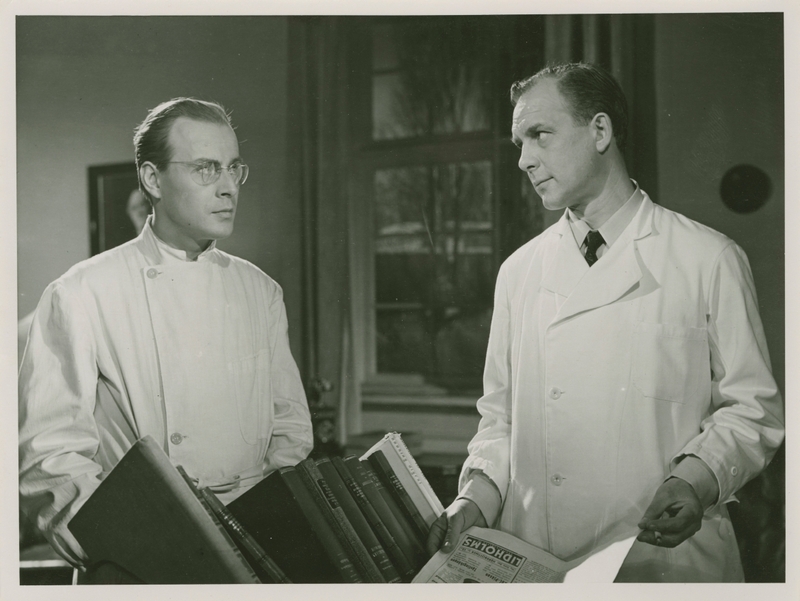 Stylistically Ekman worked primarily with long takes which maintain a certain distance from the actors. 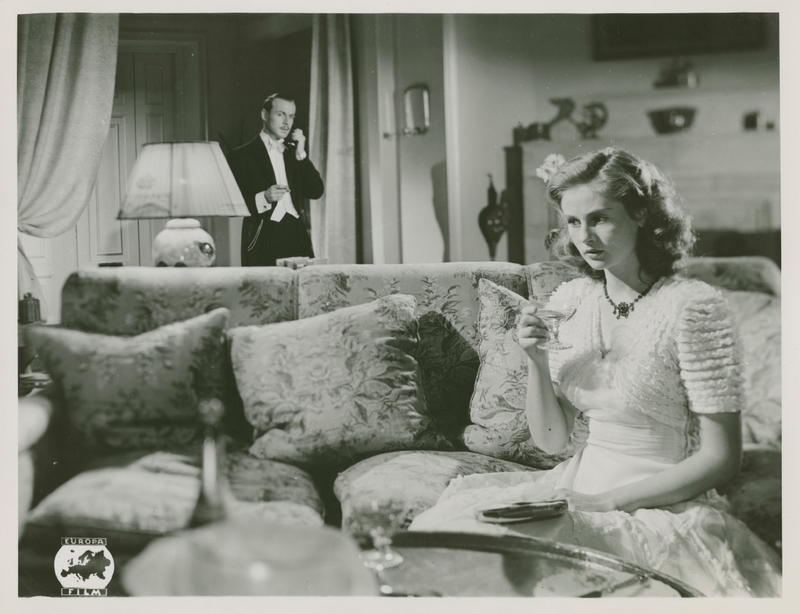 Like Renoir, this style is open and sensitive, one in which the world outside is ever present, and for this reason he often makes use of deep focus. 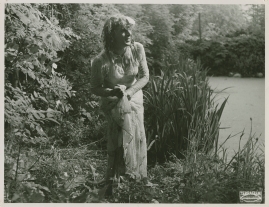 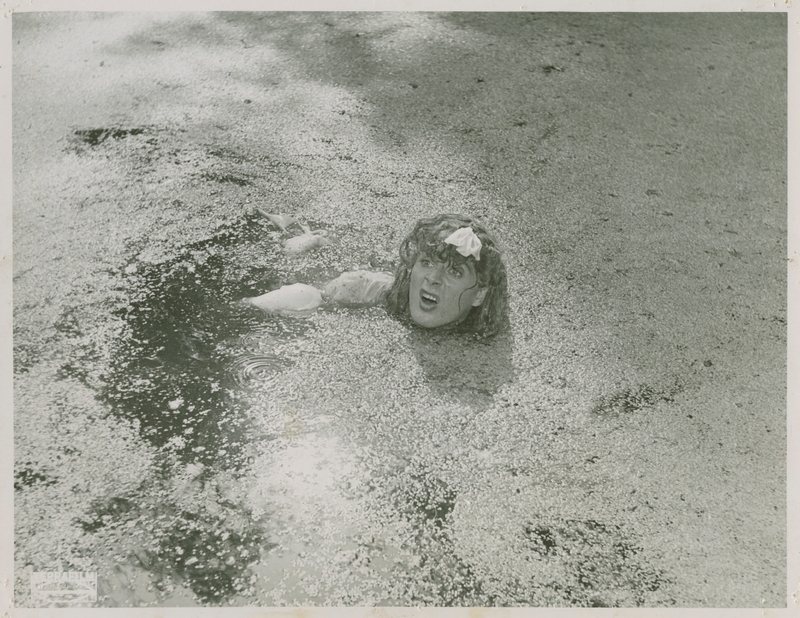 There is also an element of self-reflection in Ekman's films, not only because they are often based in personal experience, but also in their tendency to refer to each other and to the work of other filmmakers. This is especially true of his comedies, but also of his more serious films, which despite his reputation for lightness, make up the majority of his work. This reflective element is also apparent in Ekman's relationship with Ingmar Bergman. 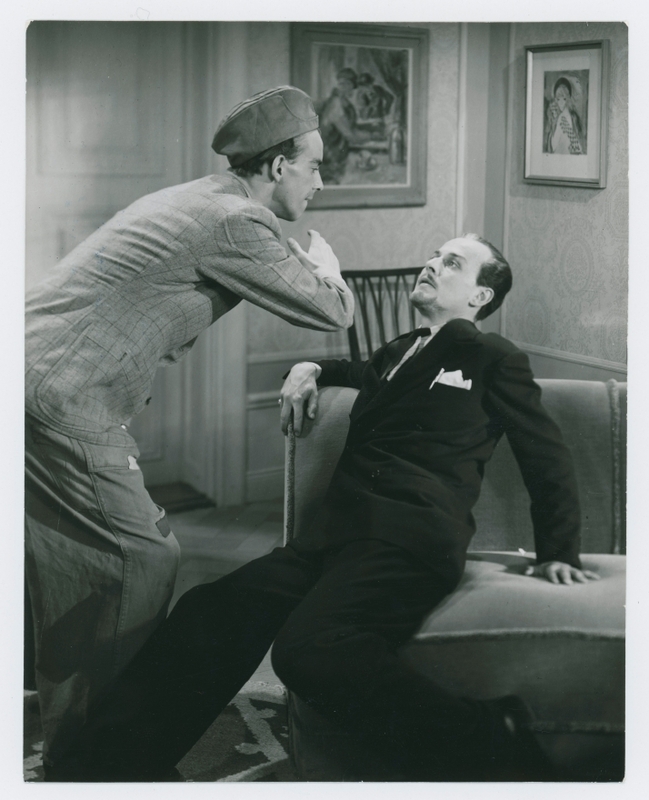 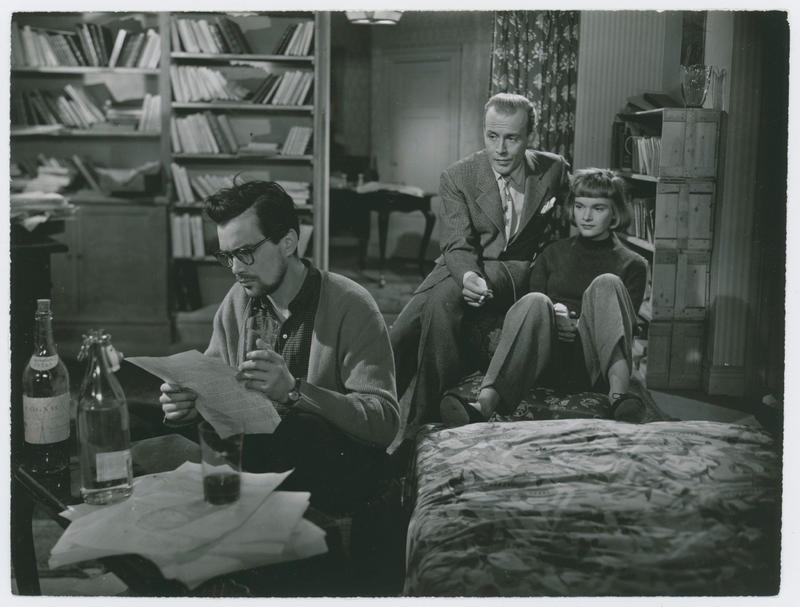 A rivalry broke out between the two men when Bergman established himself as a director in the late 1940s. 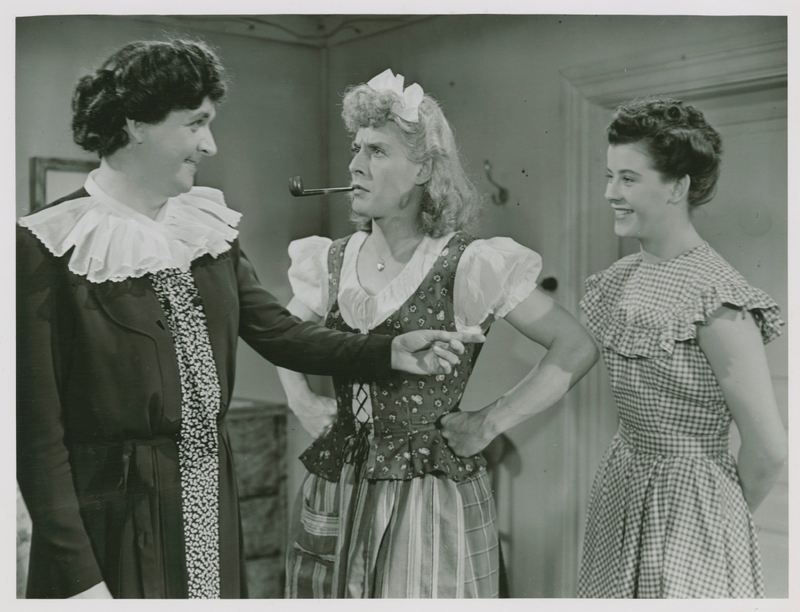 This rivalry may well have been exaggerated by the media, but nonetheless it did exist. 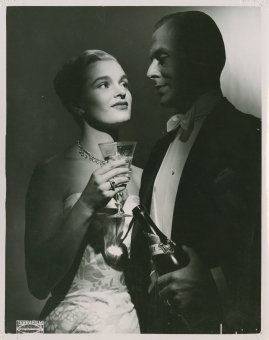 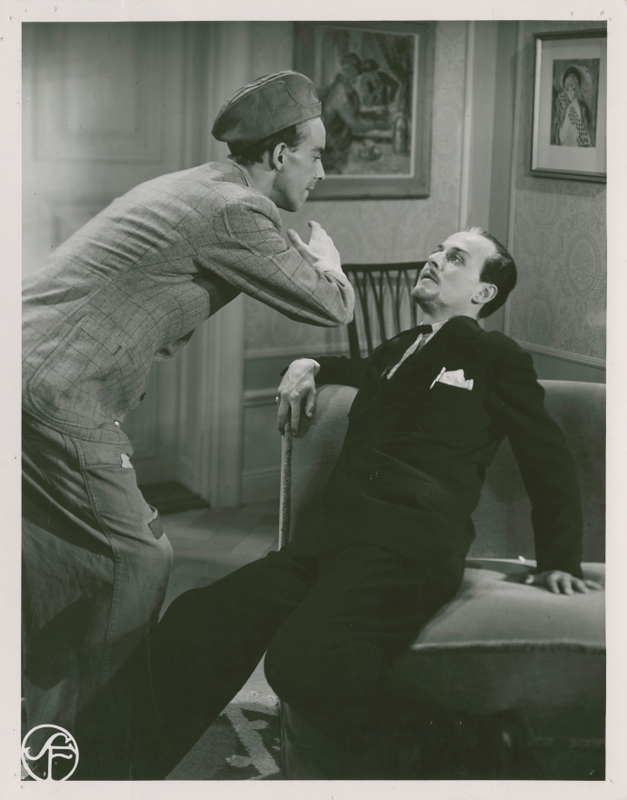 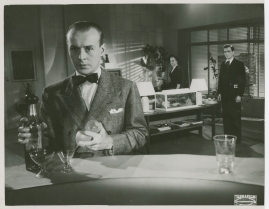 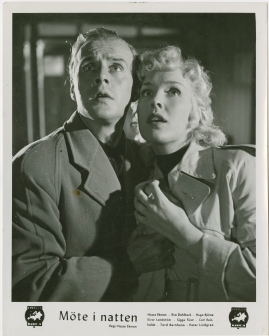 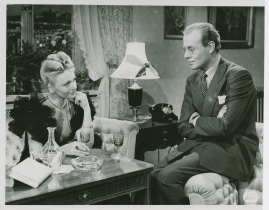 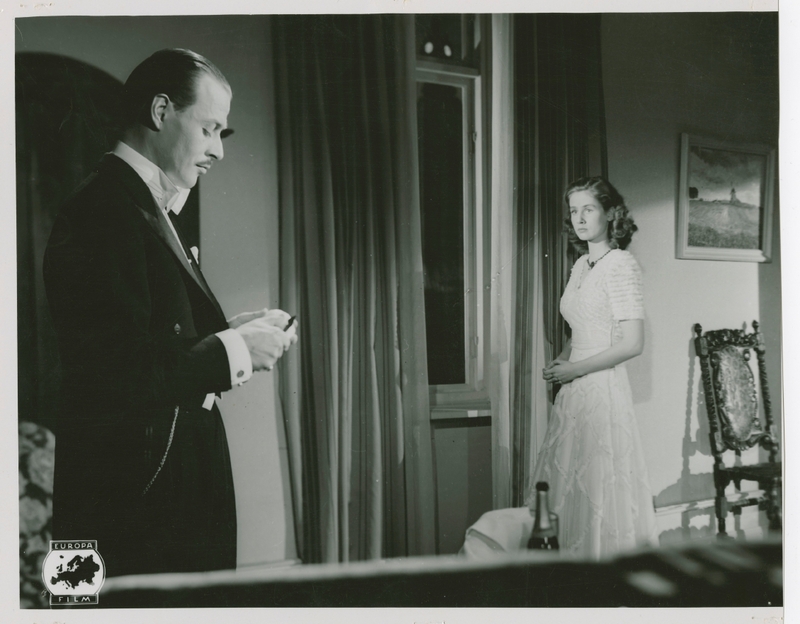 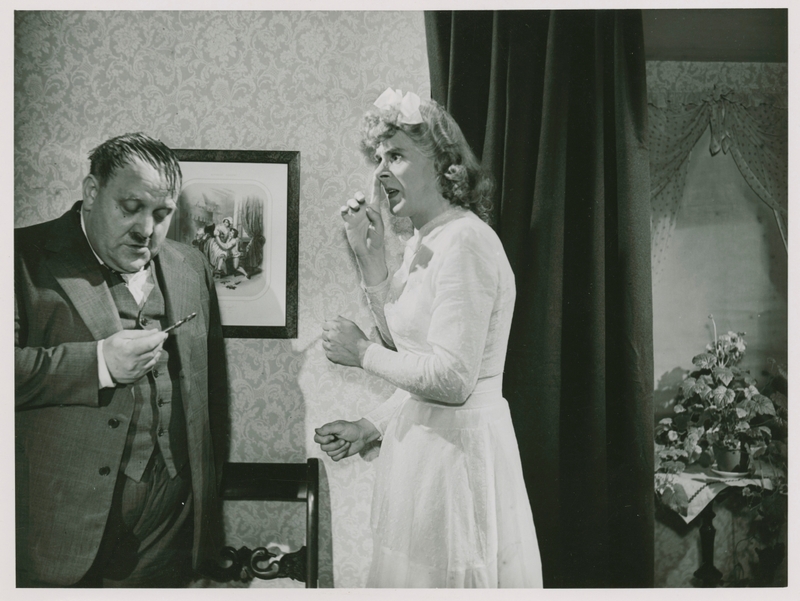 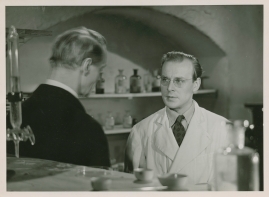 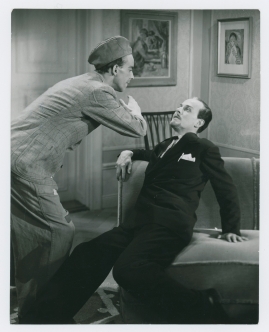 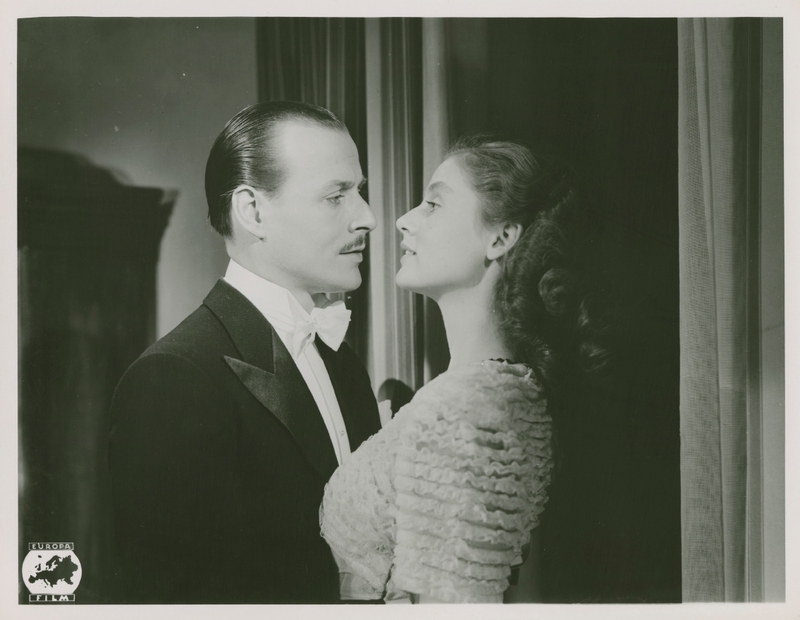 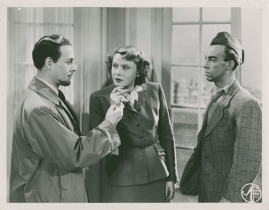 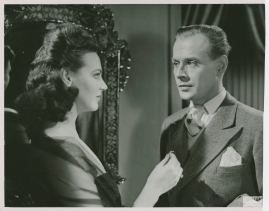 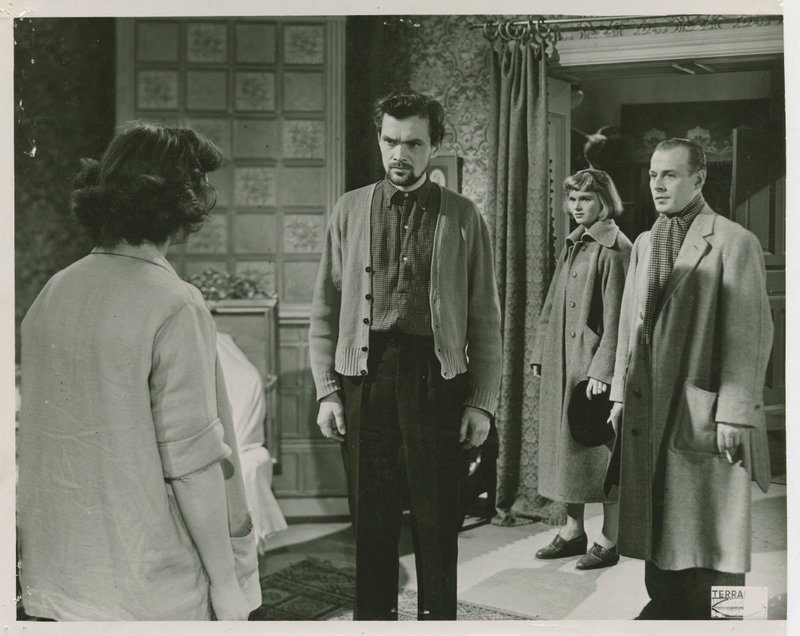 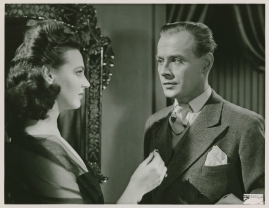 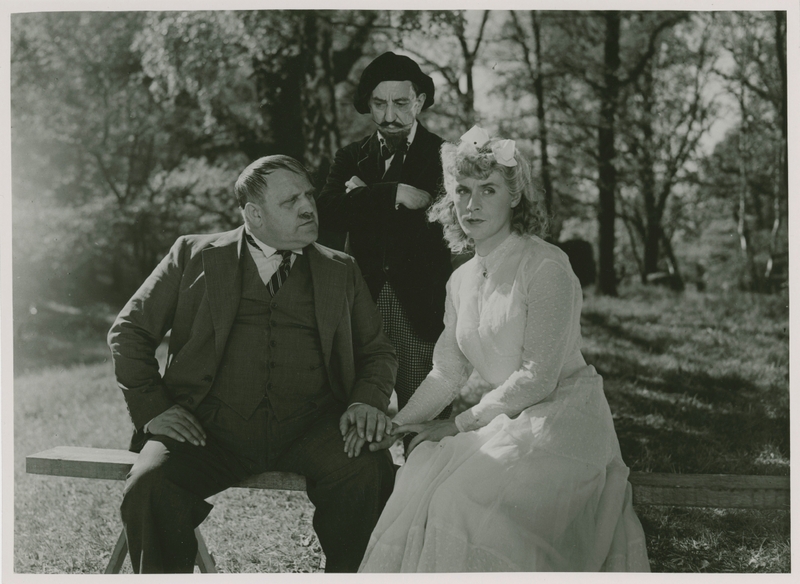 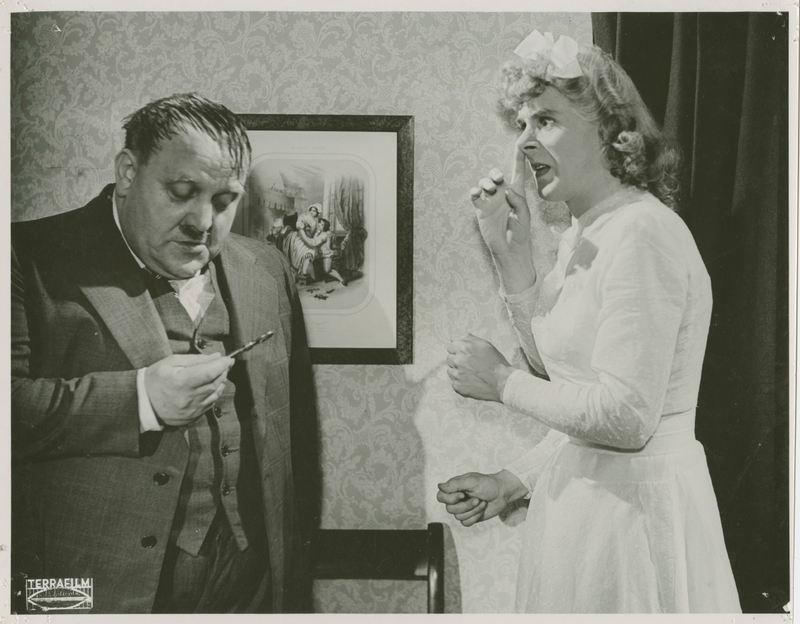 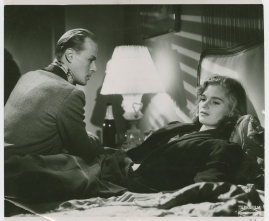 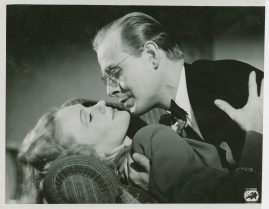 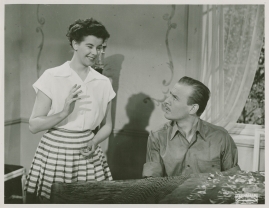 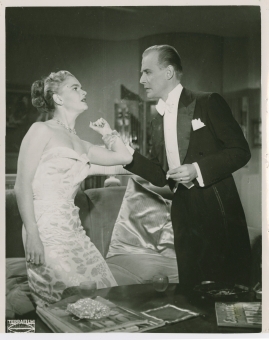 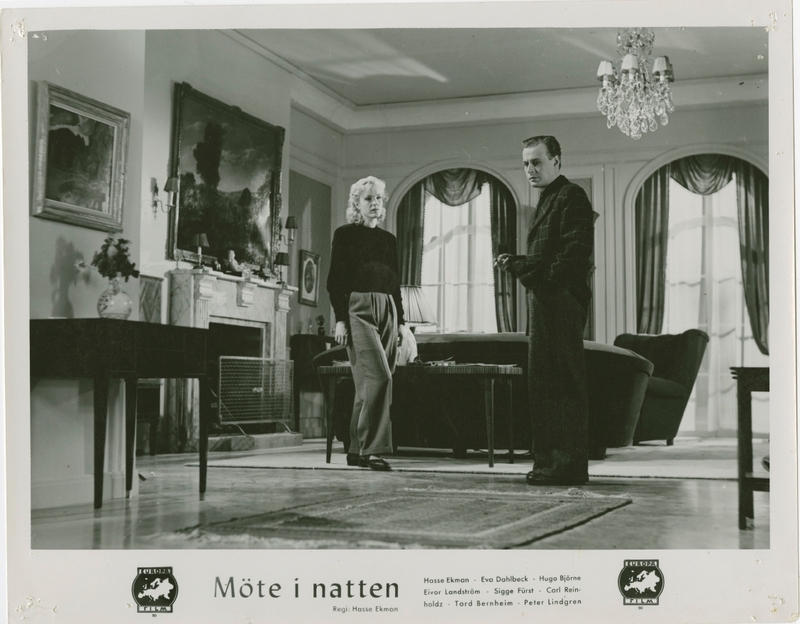 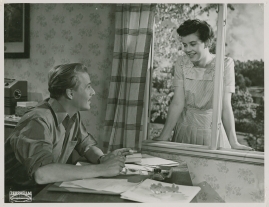 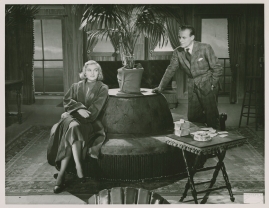 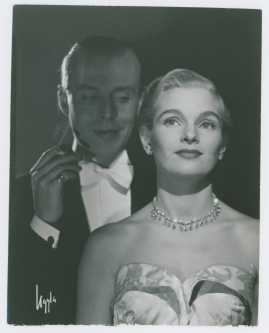 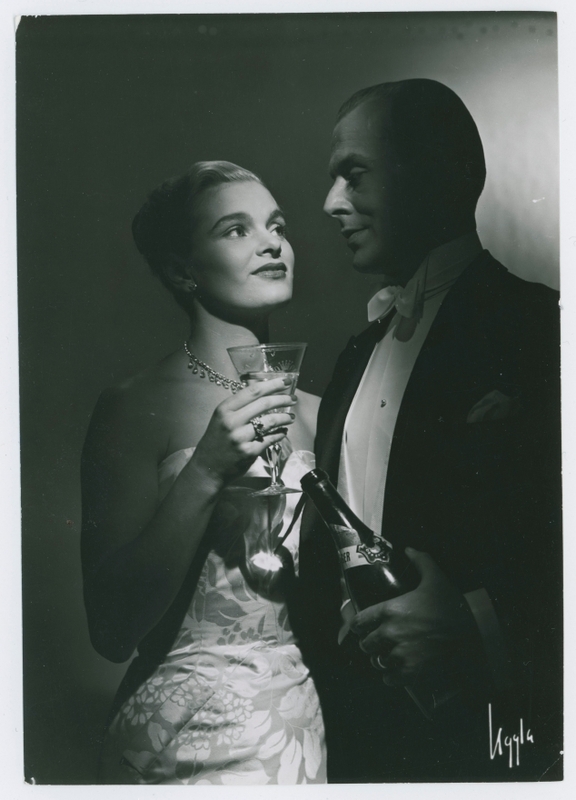 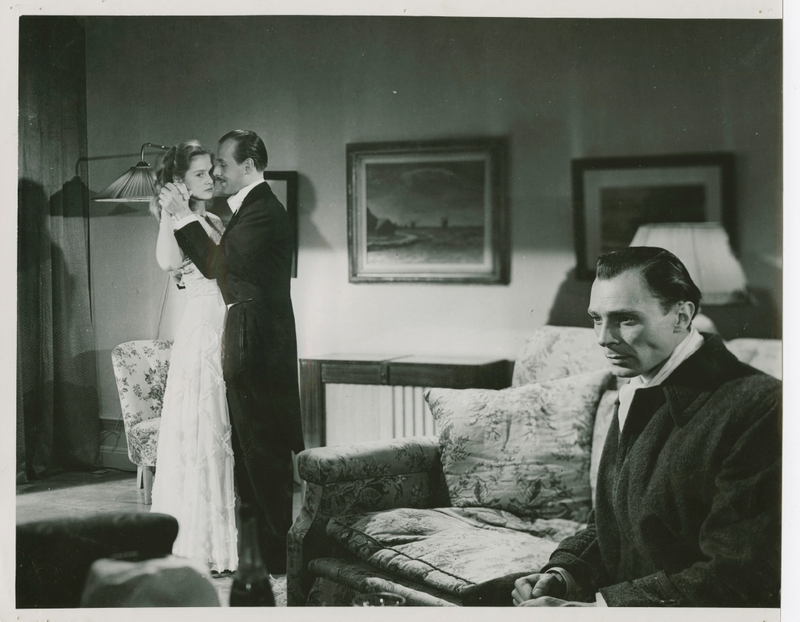 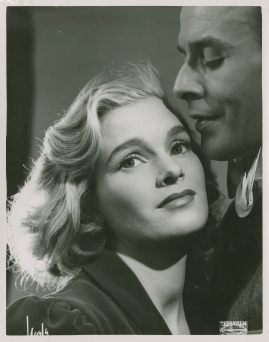 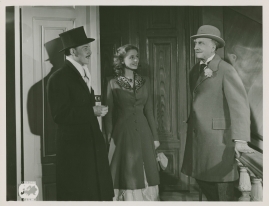 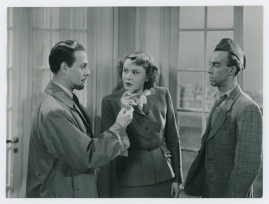 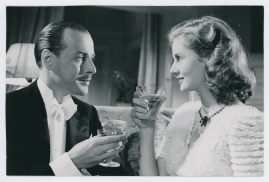 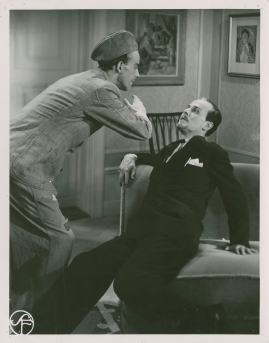 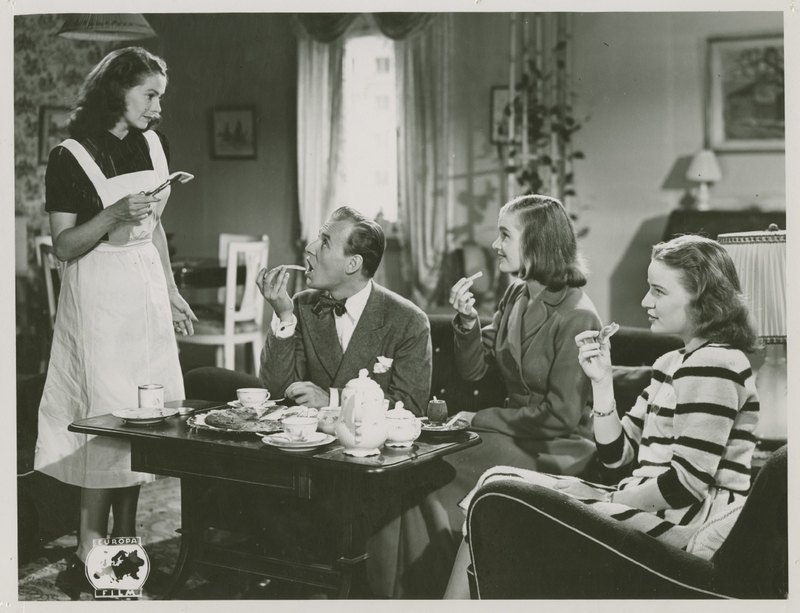 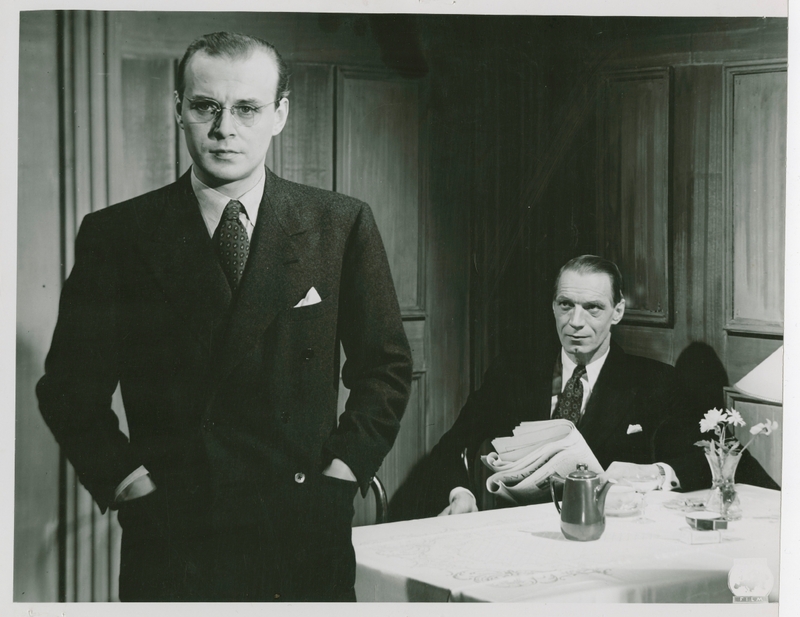 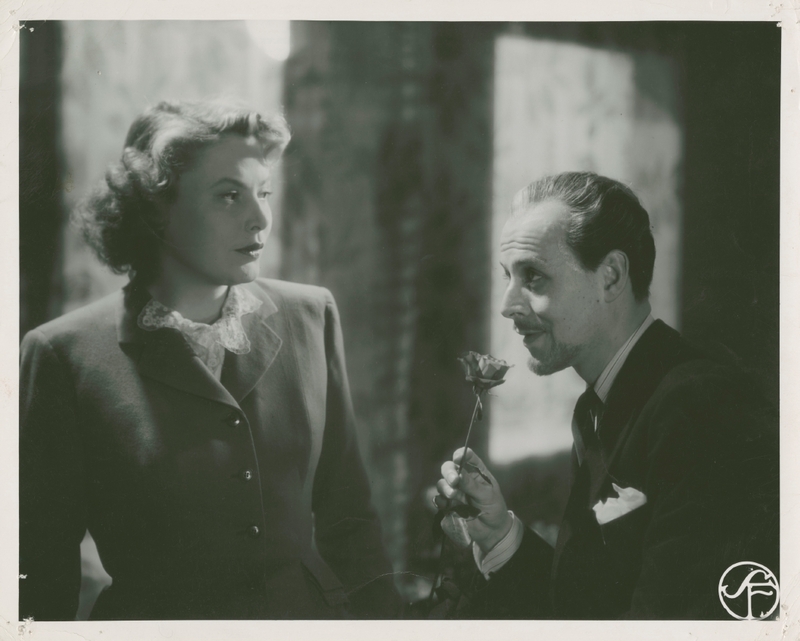 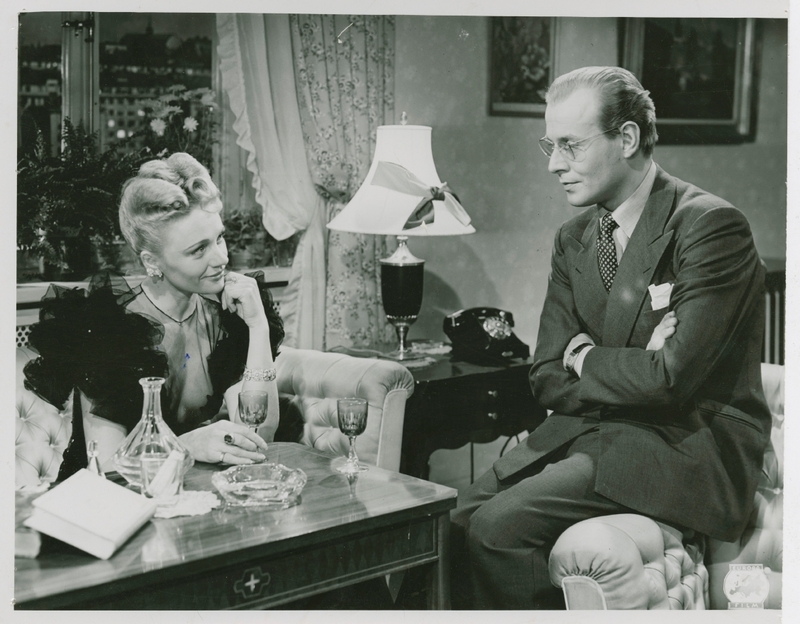 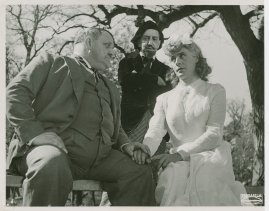 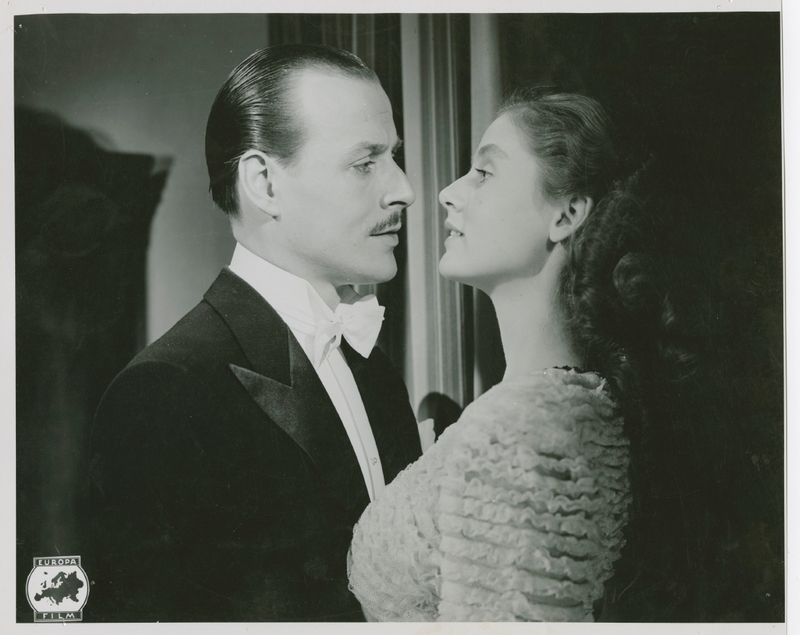 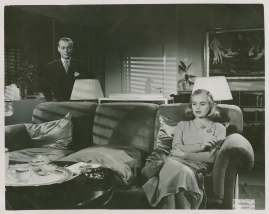 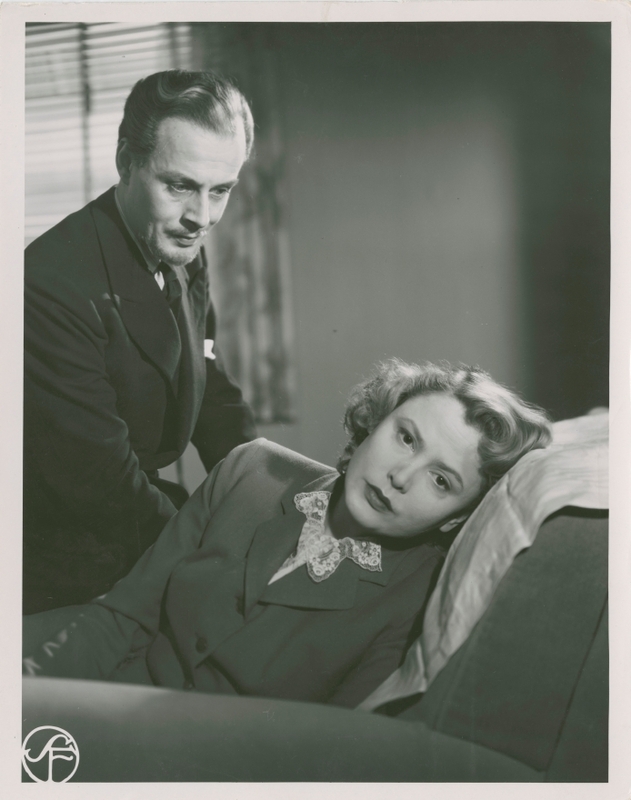 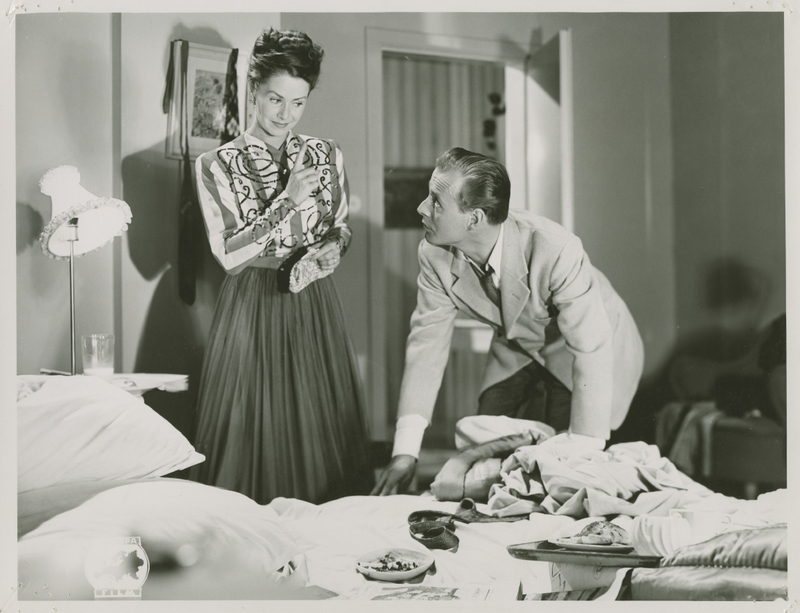 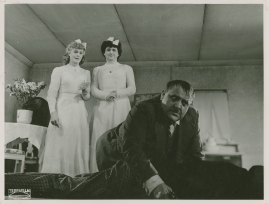 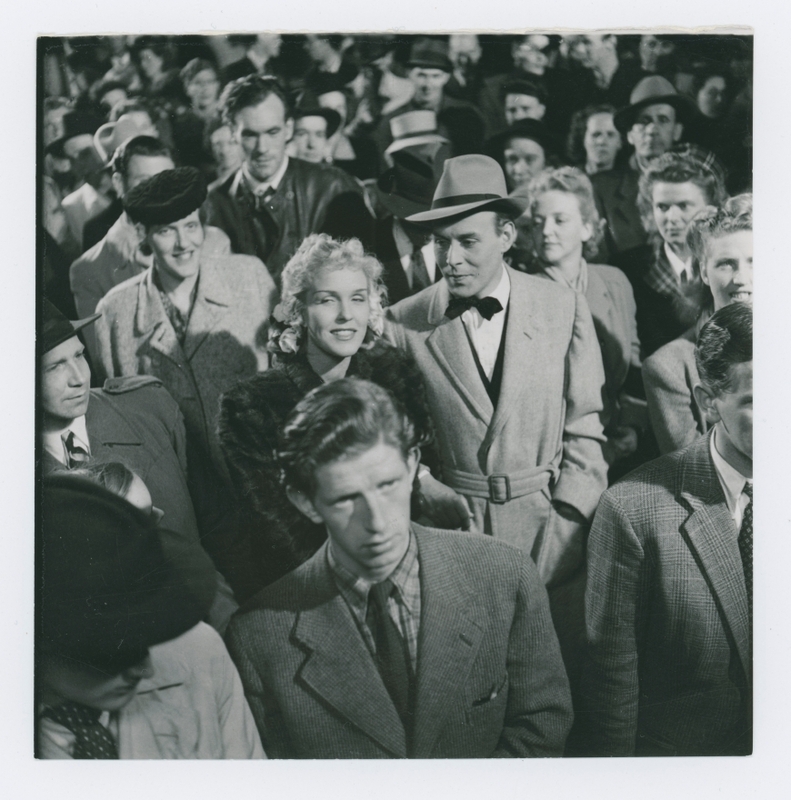 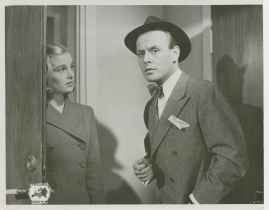 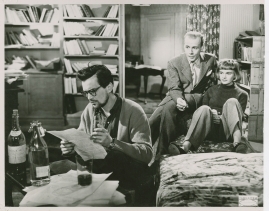 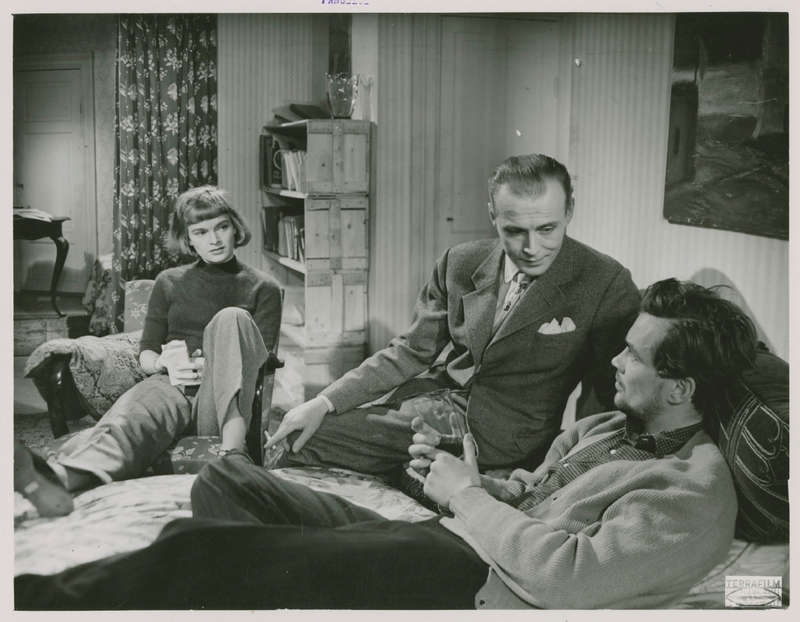 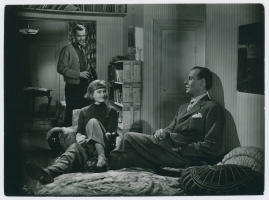 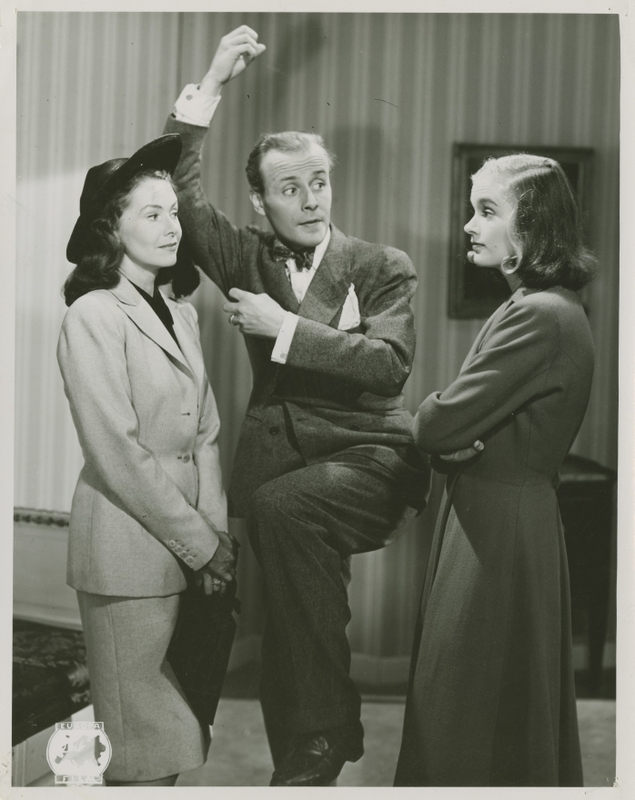 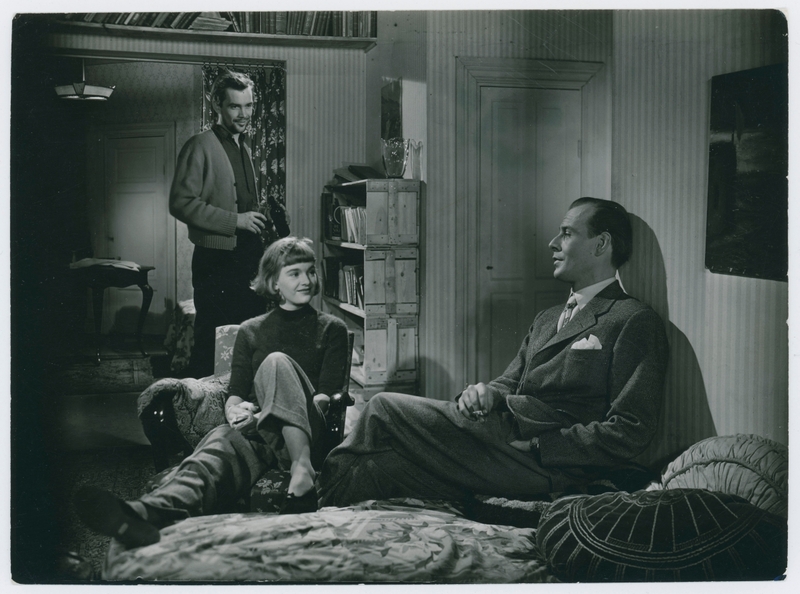 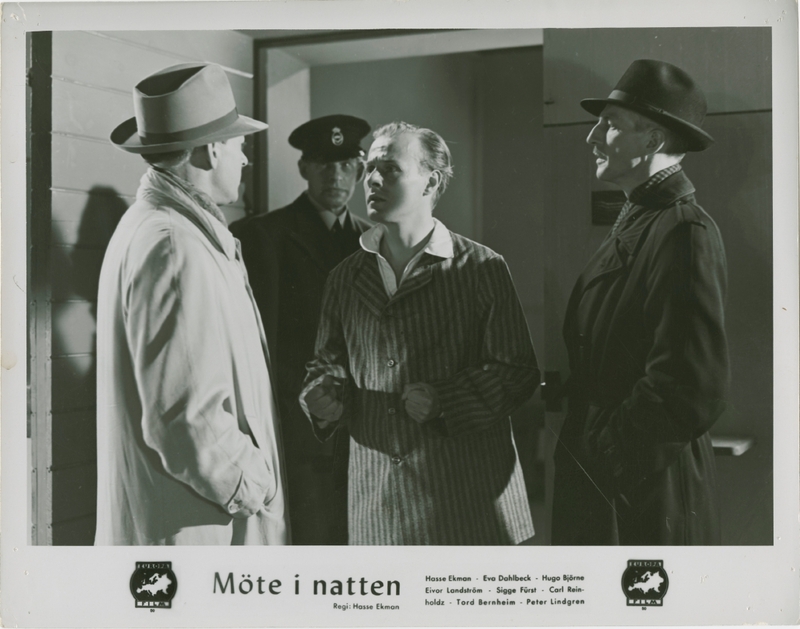 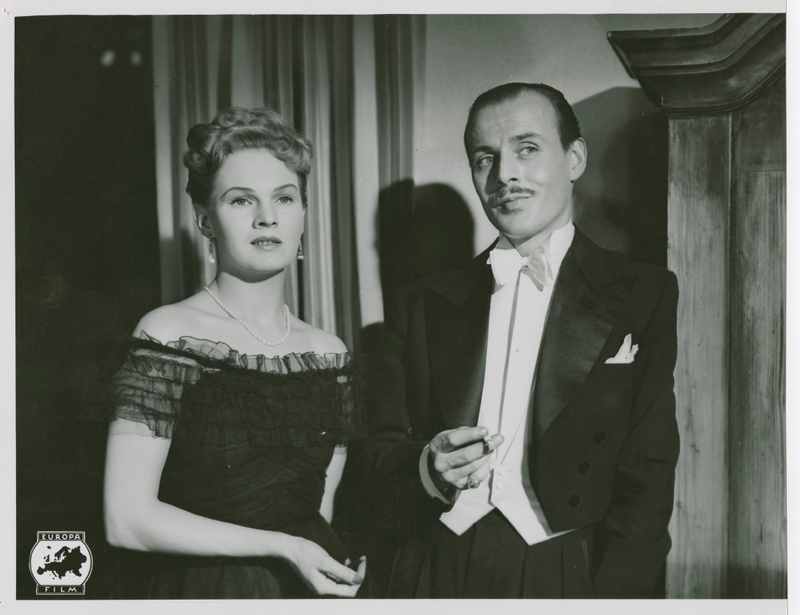 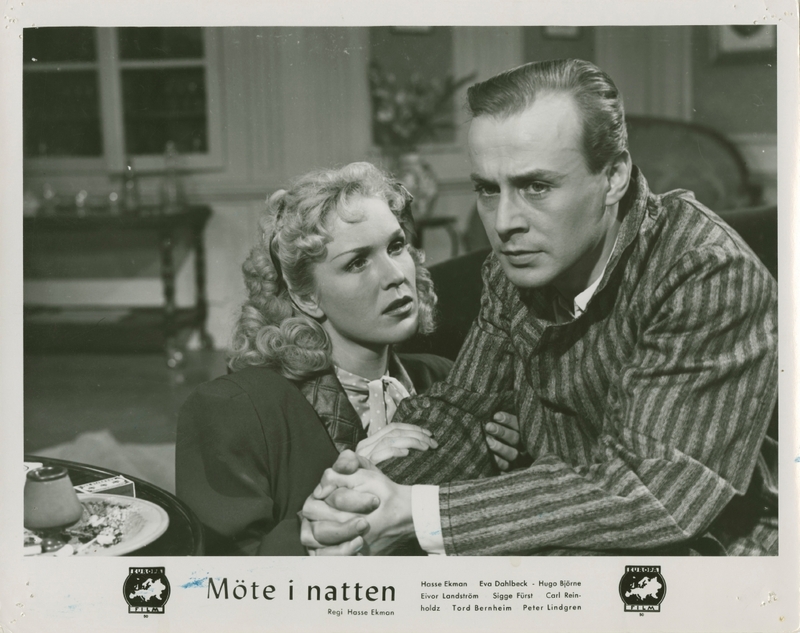 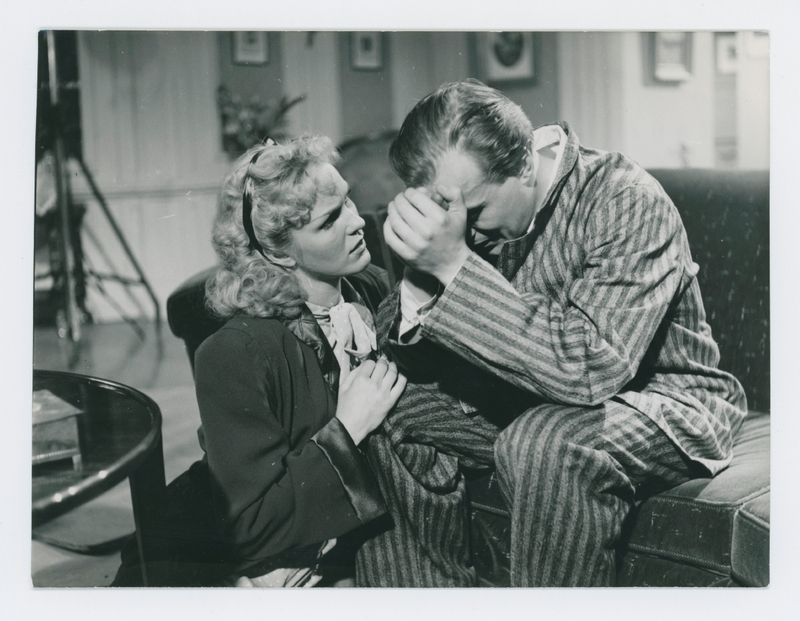 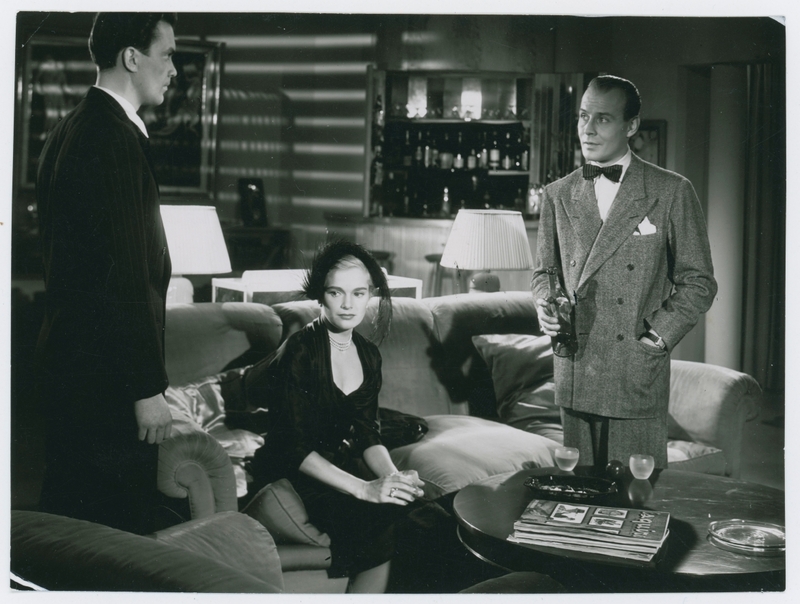 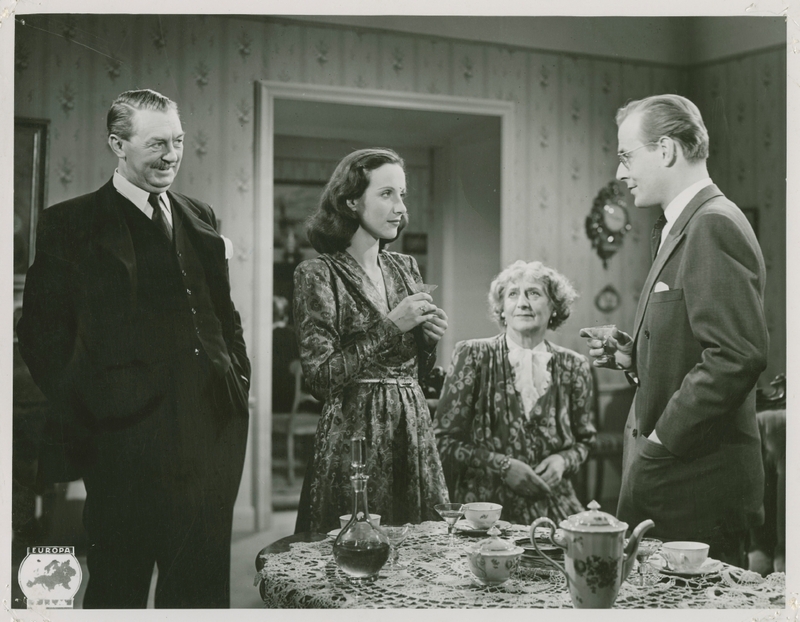 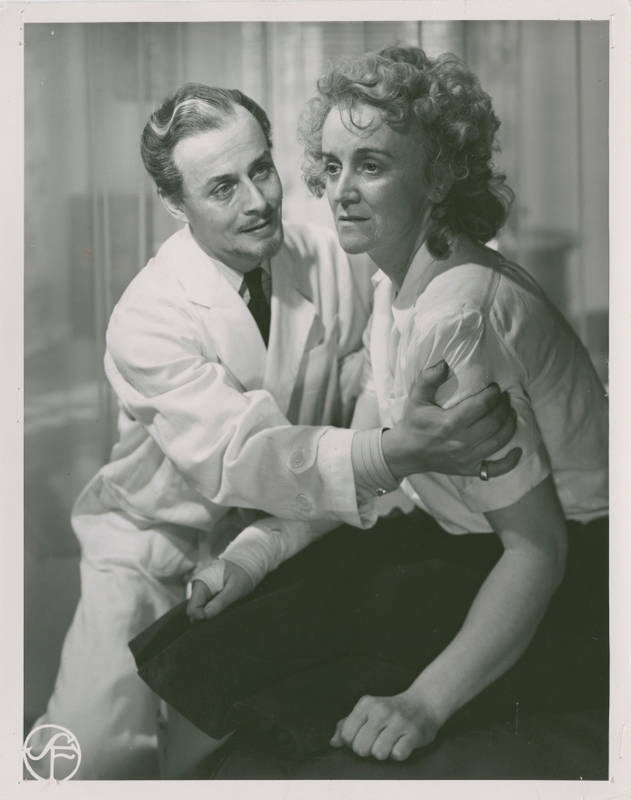 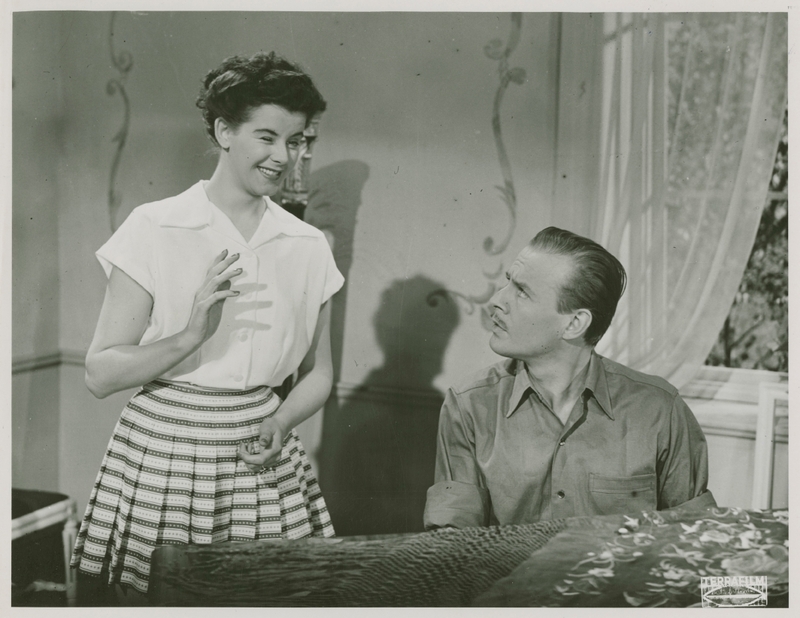 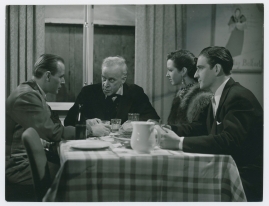 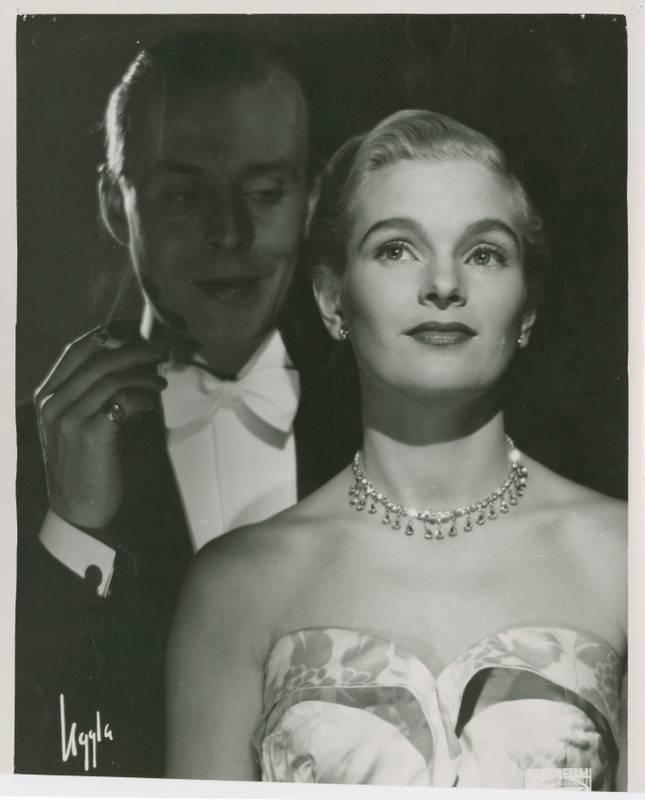 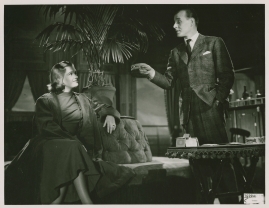 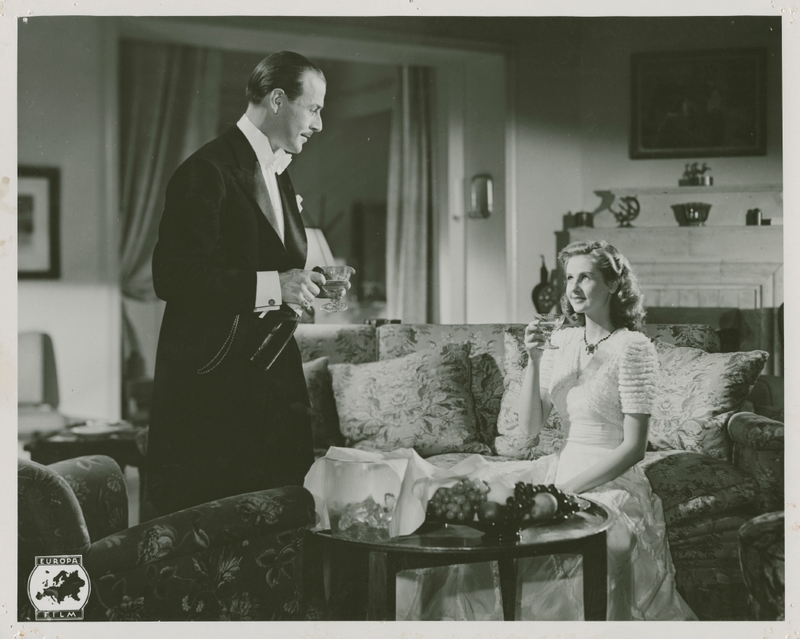 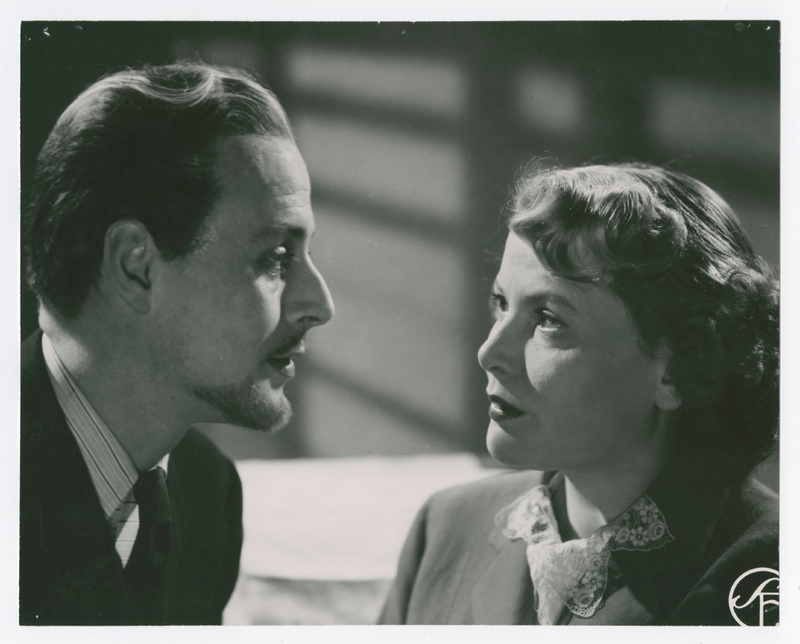 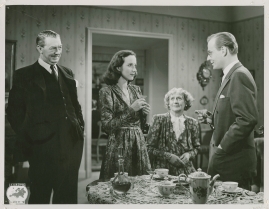 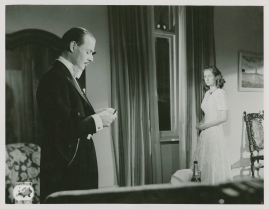 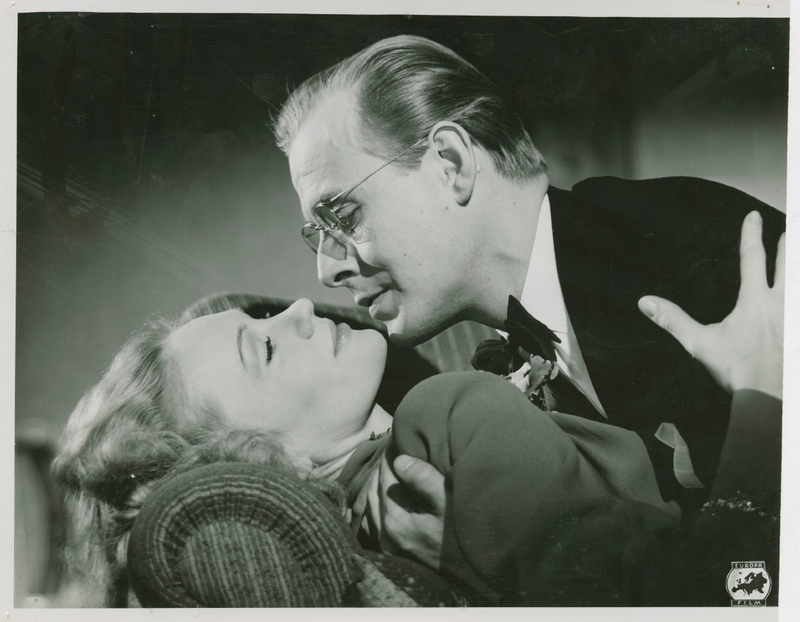 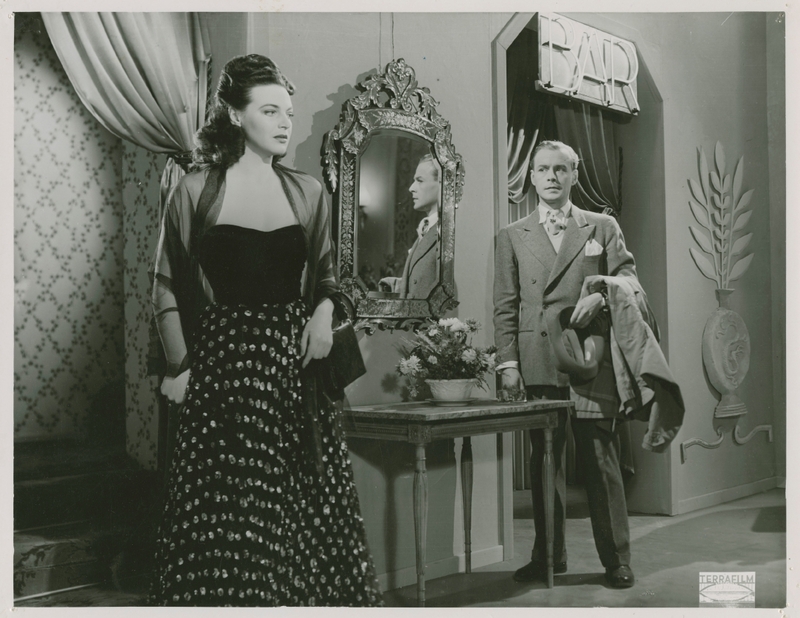 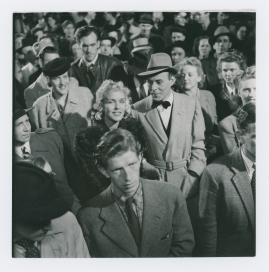 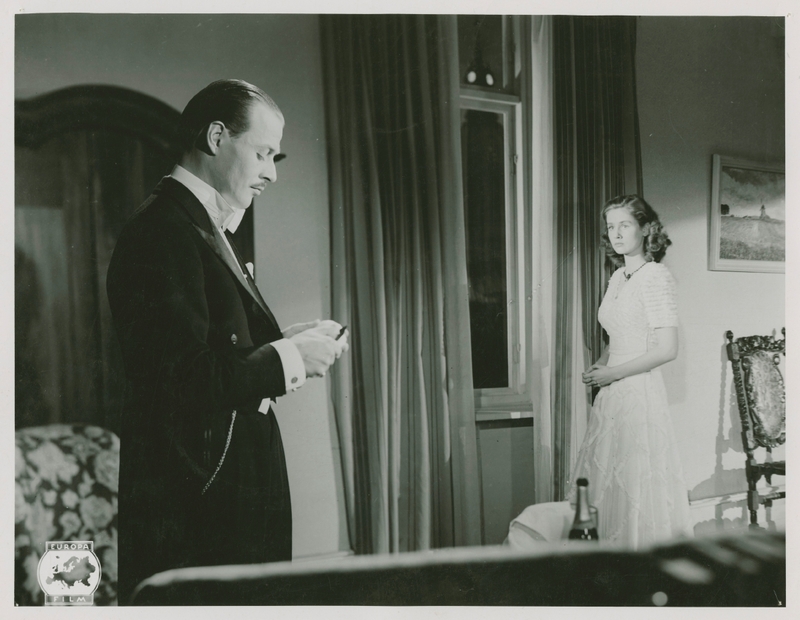 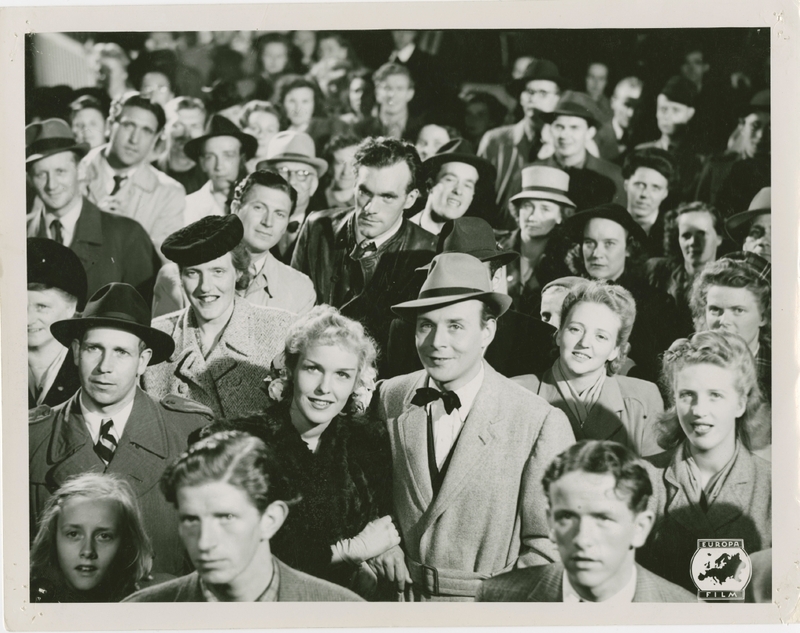 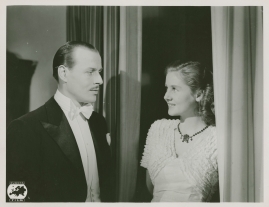 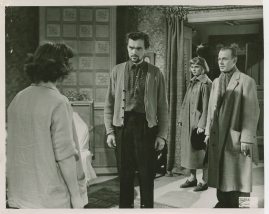 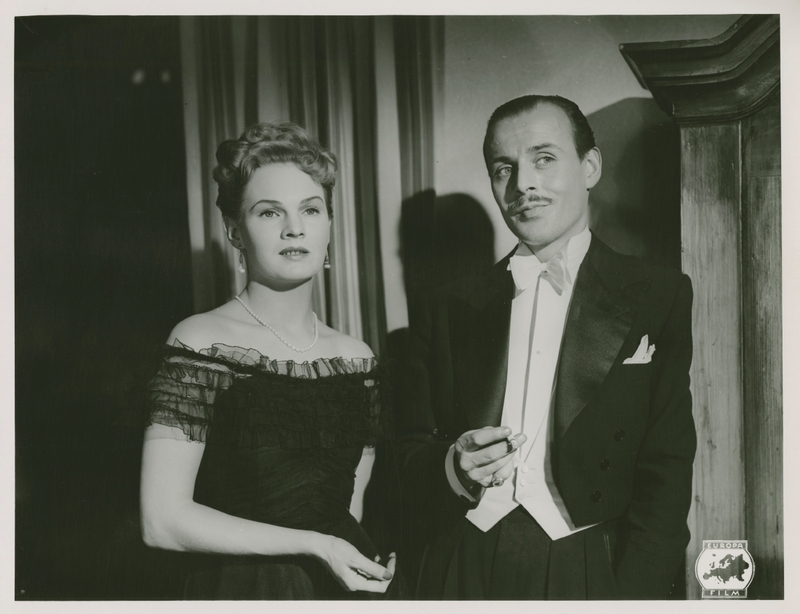 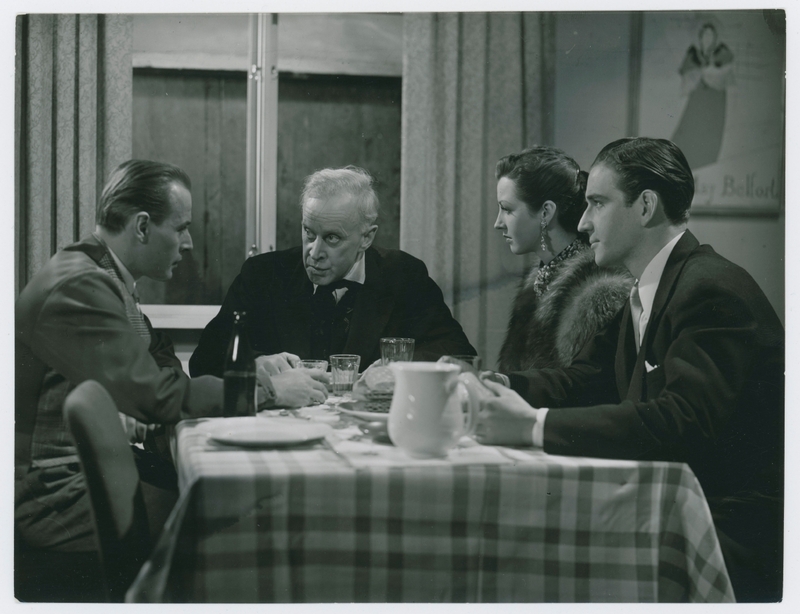 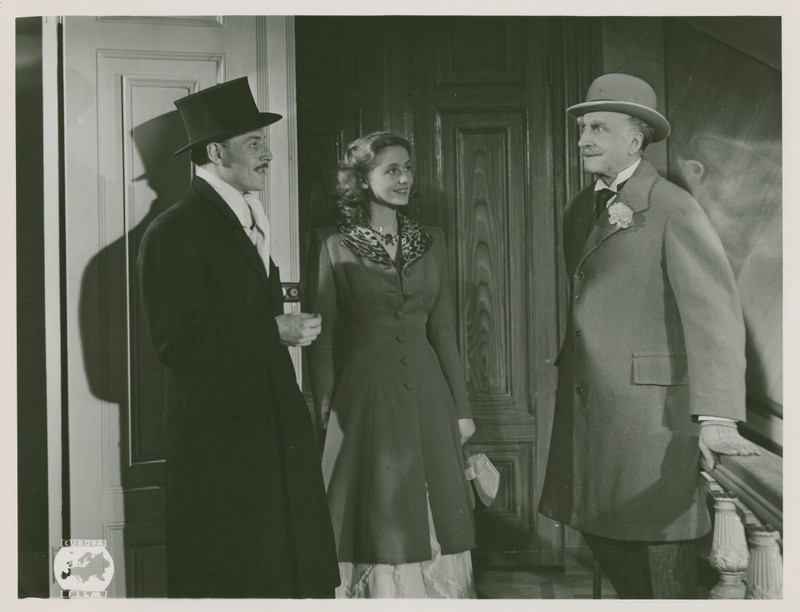 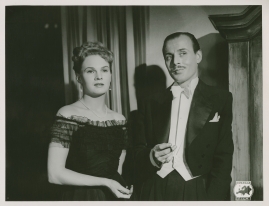 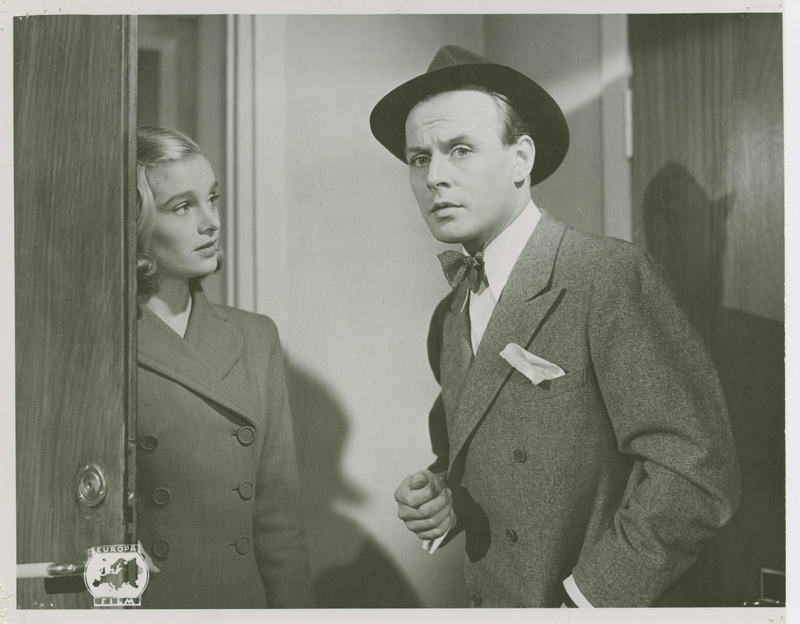 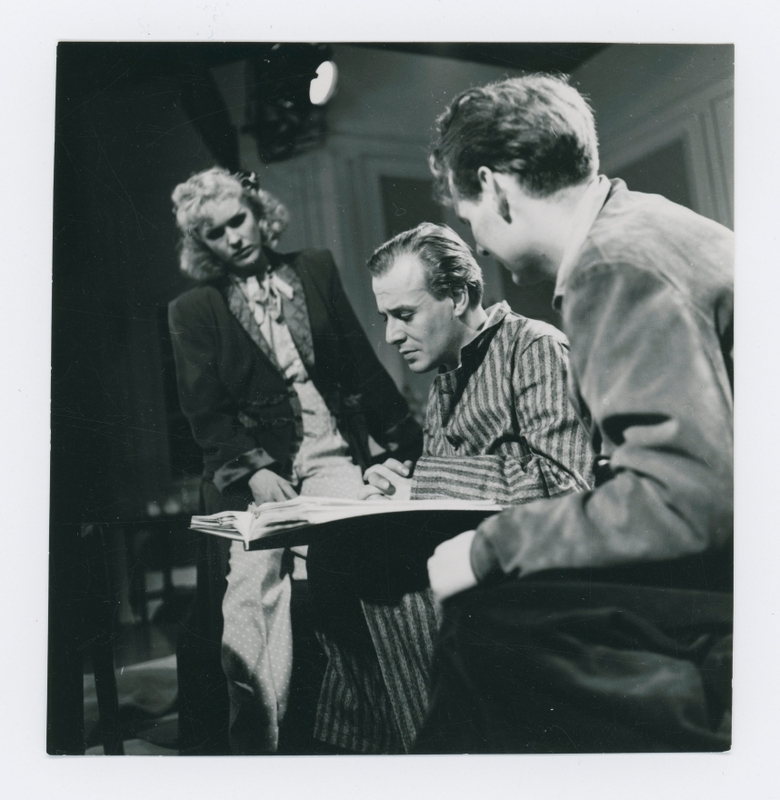 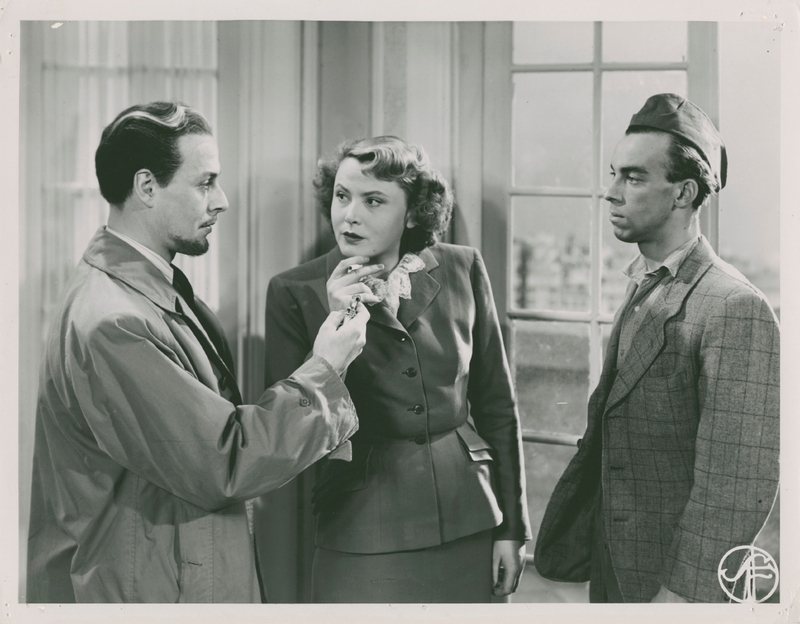 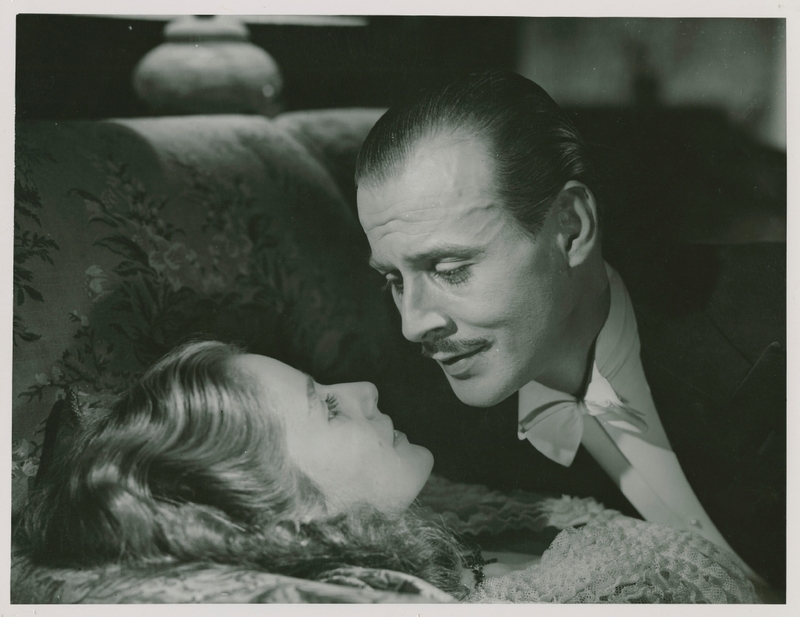 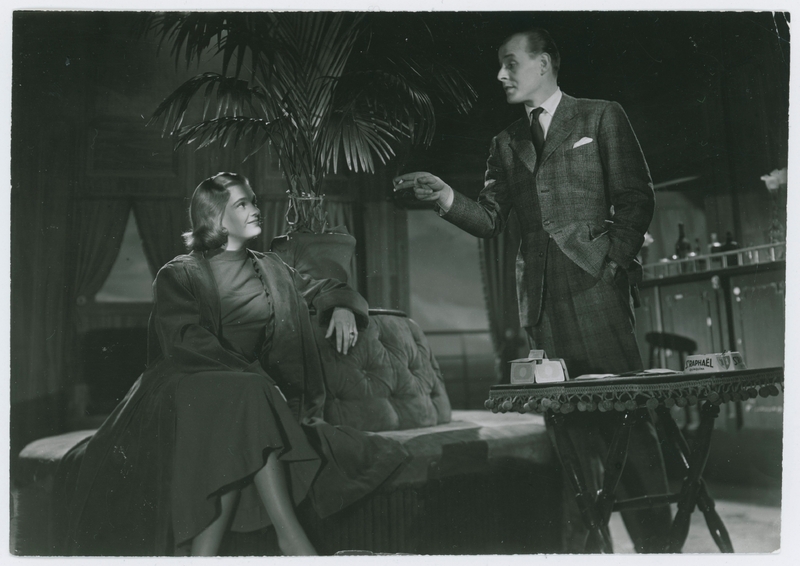 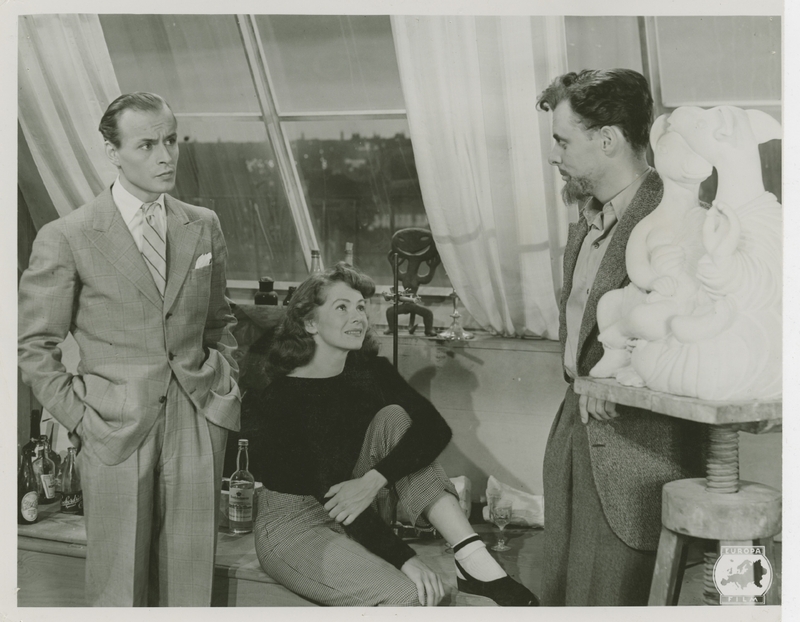 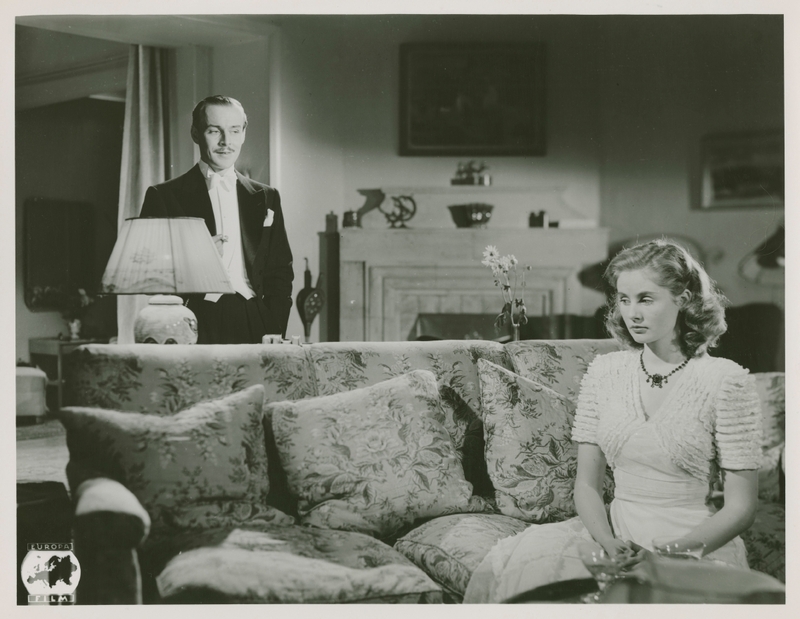 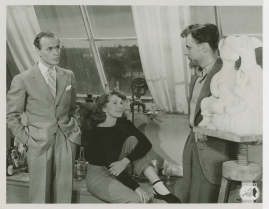 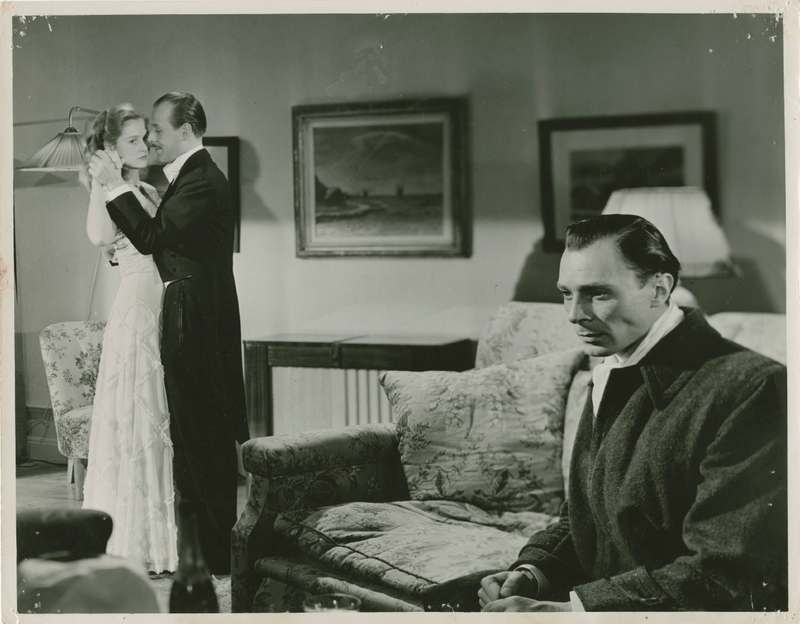 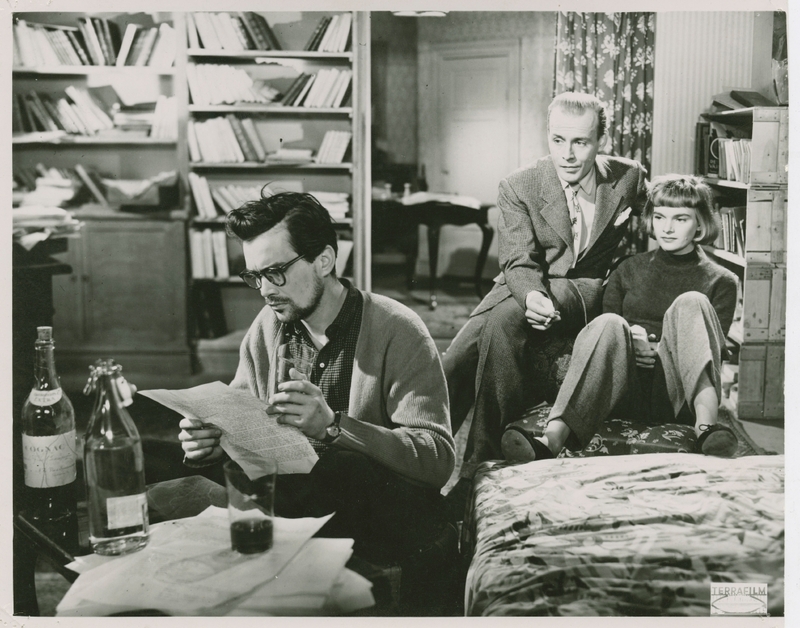 It came to the forefront in 1949 when Bergman first made The Devil's Wanton (Fängelse), with Ekman playing the part of a shallow director, and Ekman responded with The Girl from the Third Row (Flickan från tredje raden, 1949) which he himself called his "anti-Bergman film". 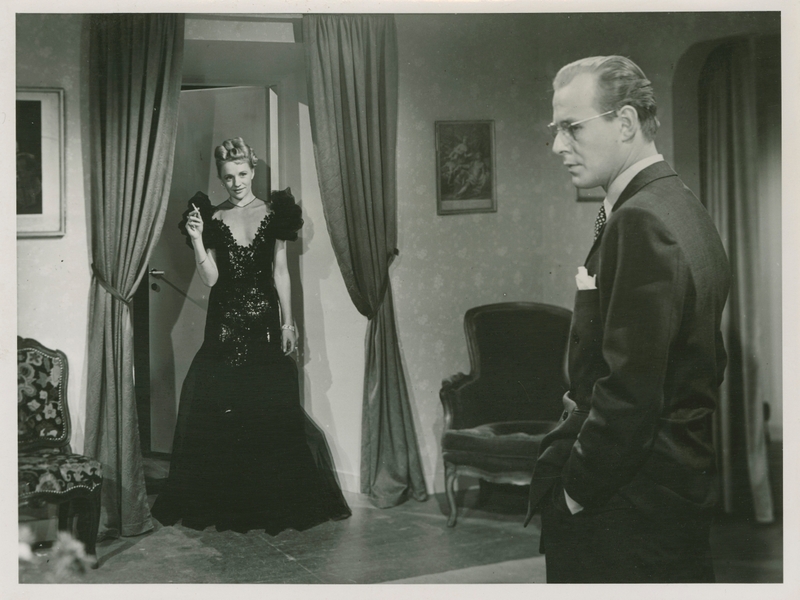 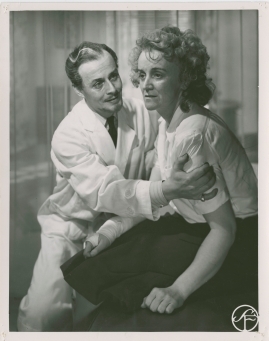 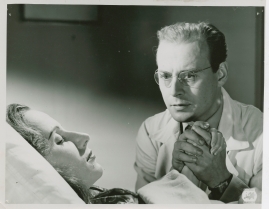 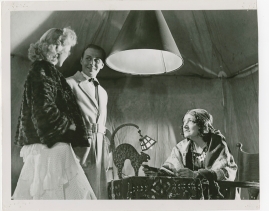 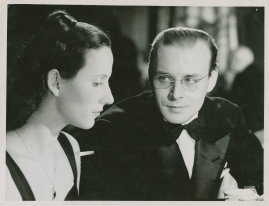 In it Ekman plays a Bergman-like character who stages a play called "Hell" and is subsequently visited by a mystical woman who teaches him about life. A key film in Ekman's oeuvre, it develops a debate of ideas between Ekman's view of the world and that of Bergman, in which Ekman stands for a more hopeful and humble belief in humanity and a more open style of film narrative. 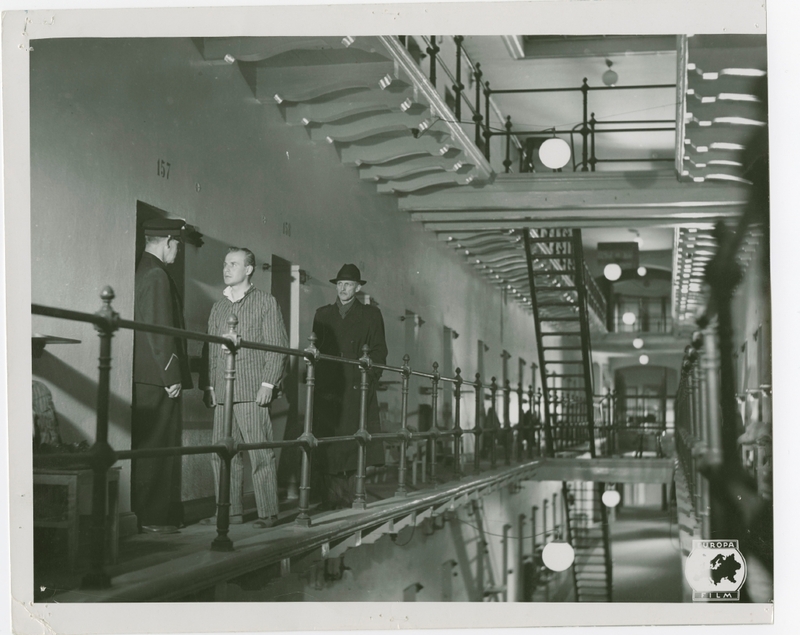 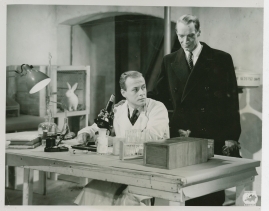 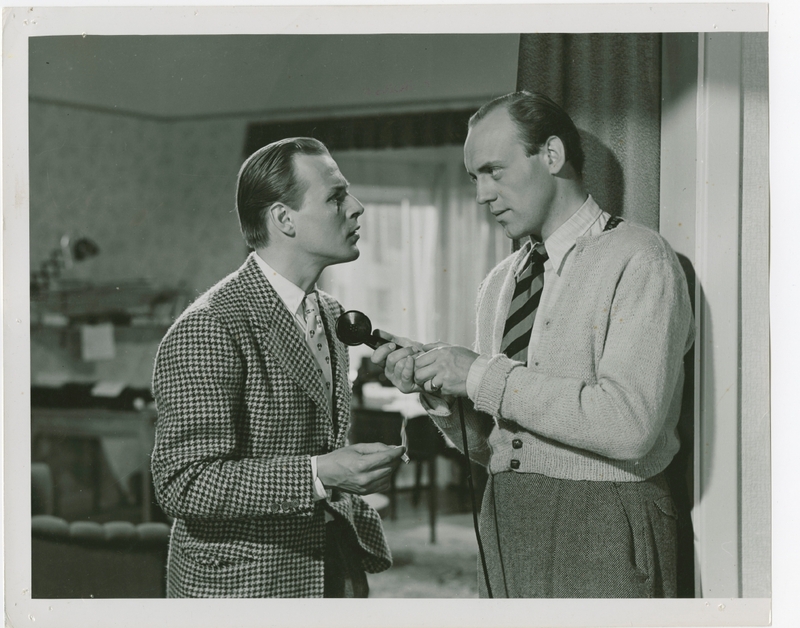 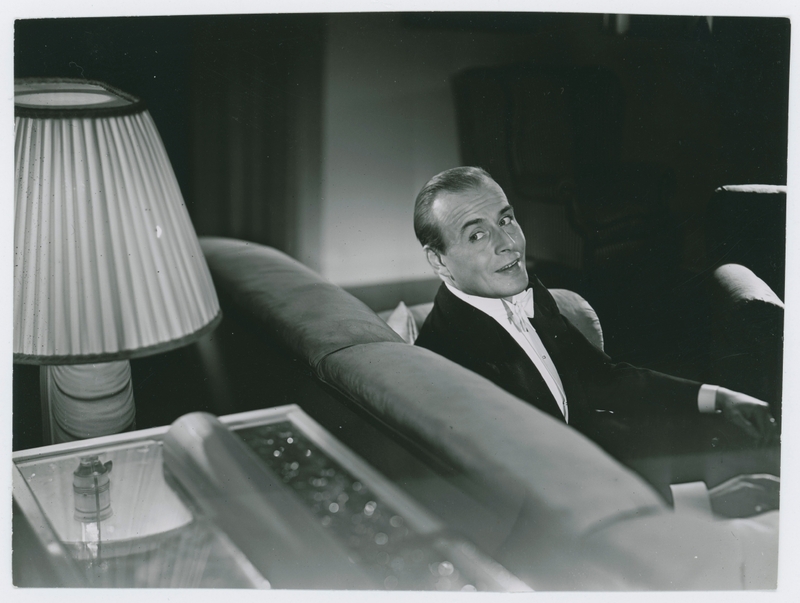 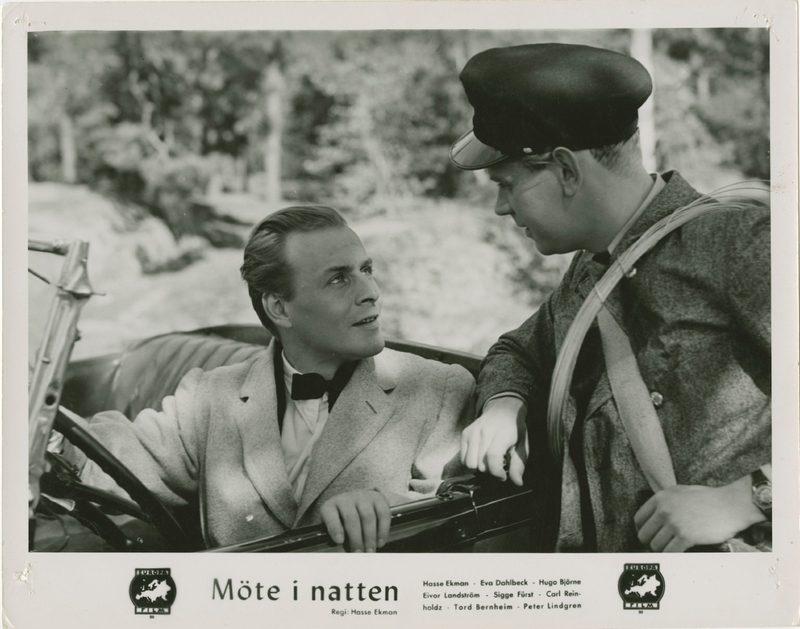 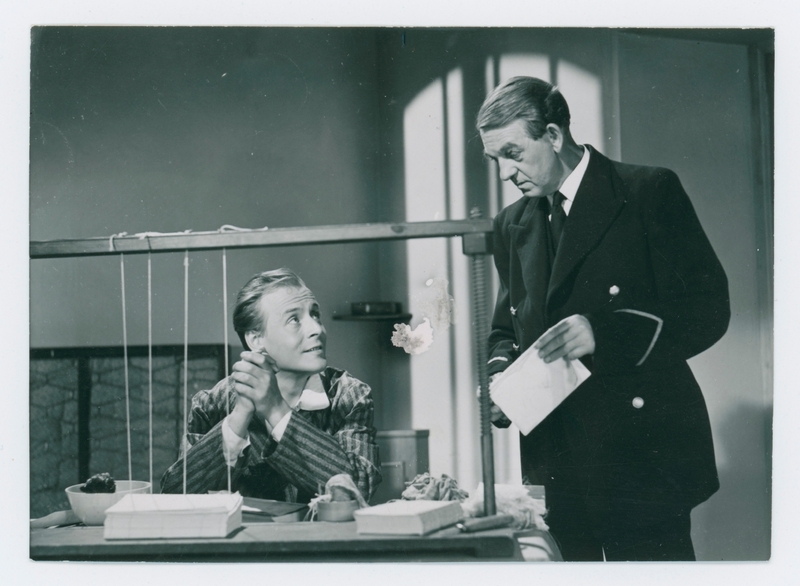 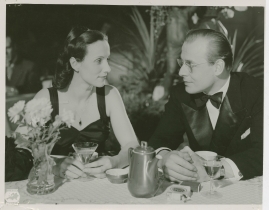 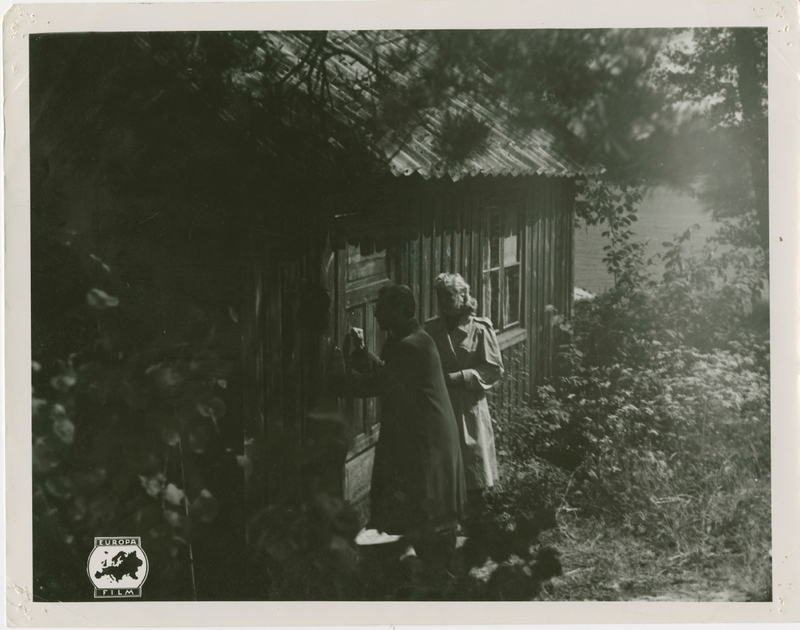 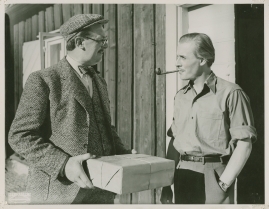 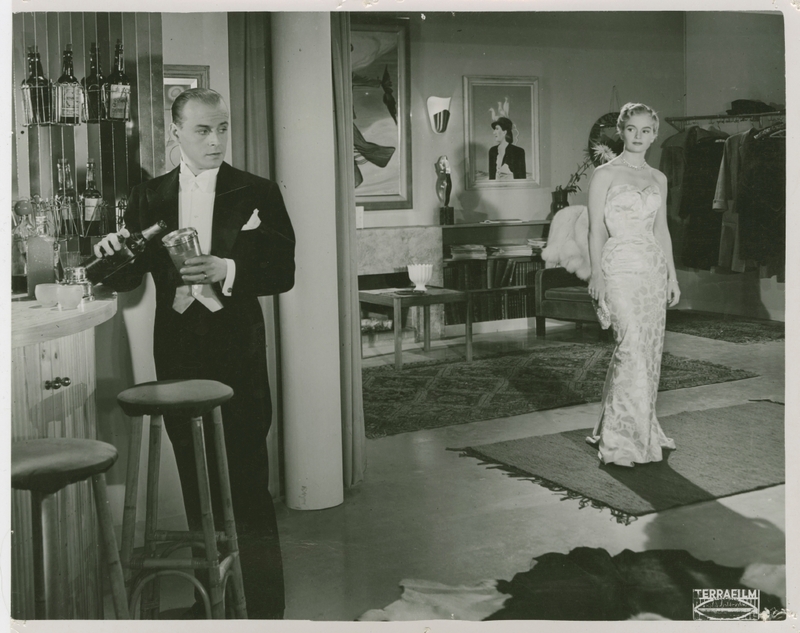 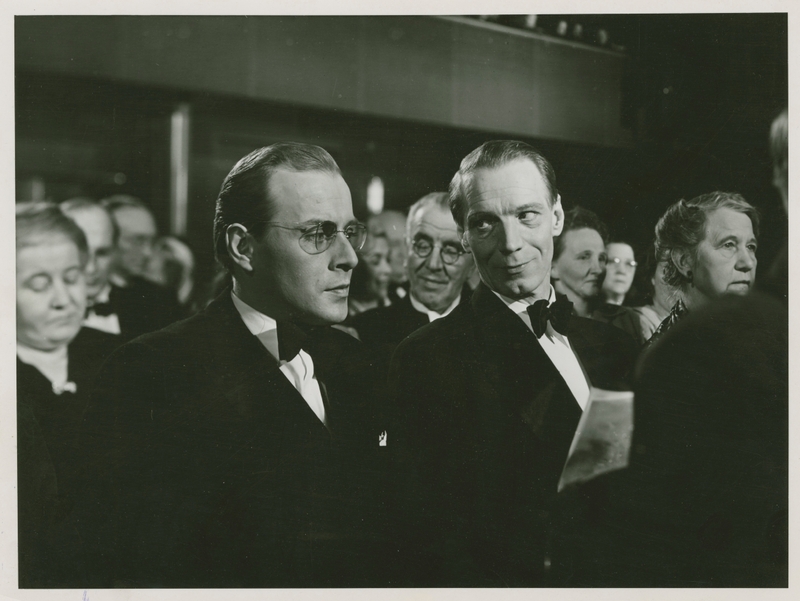 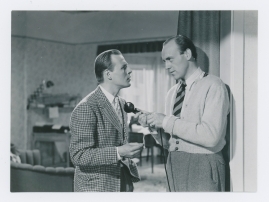 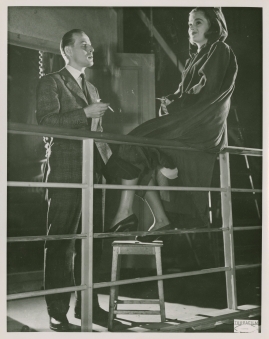 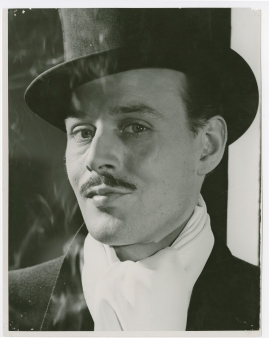 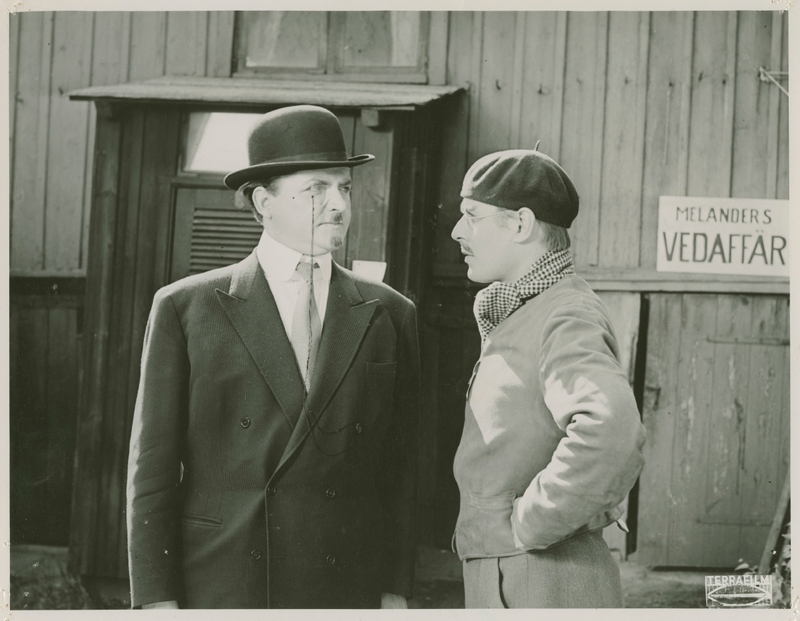 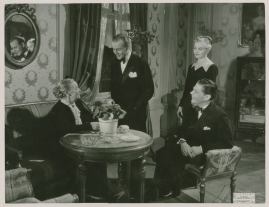 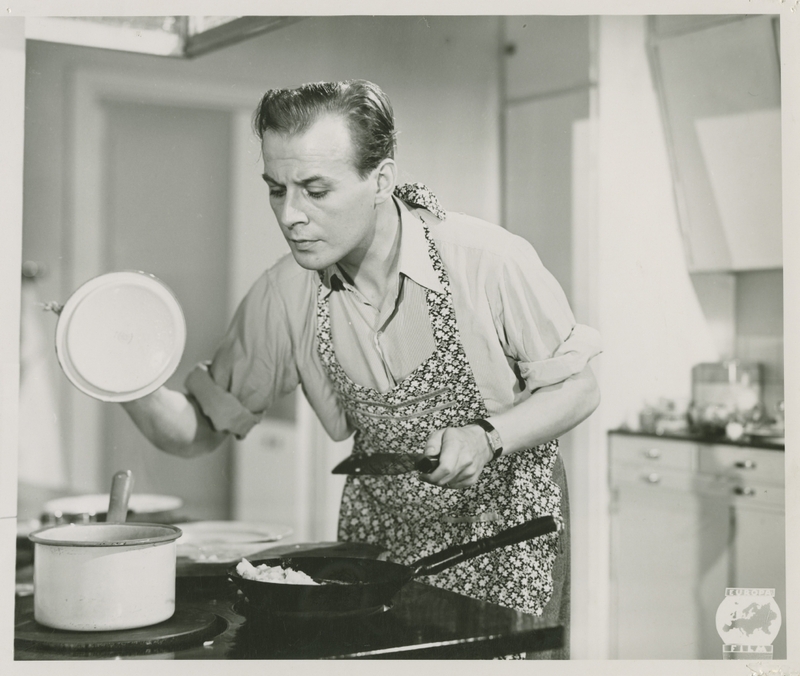 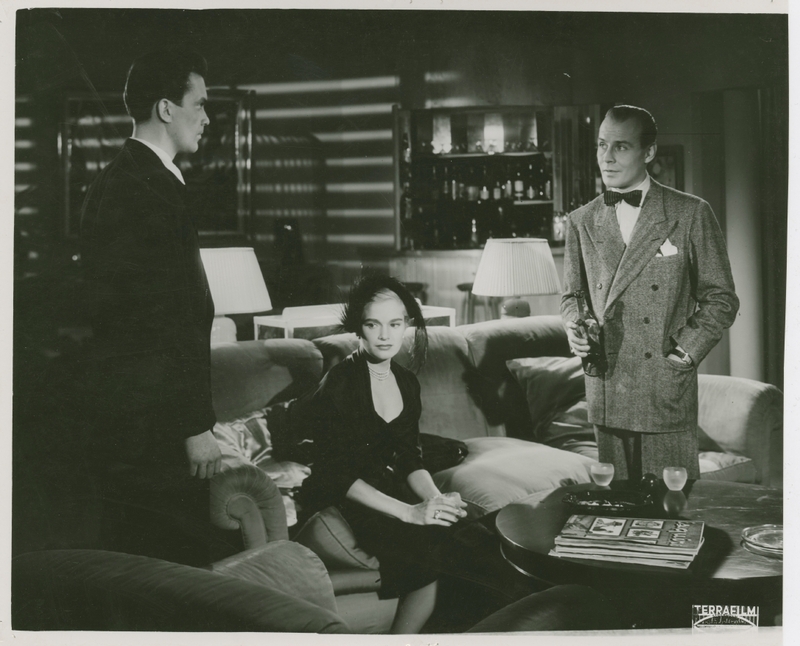 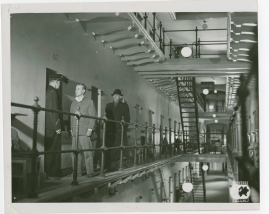 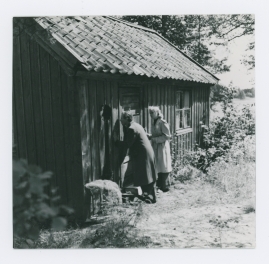 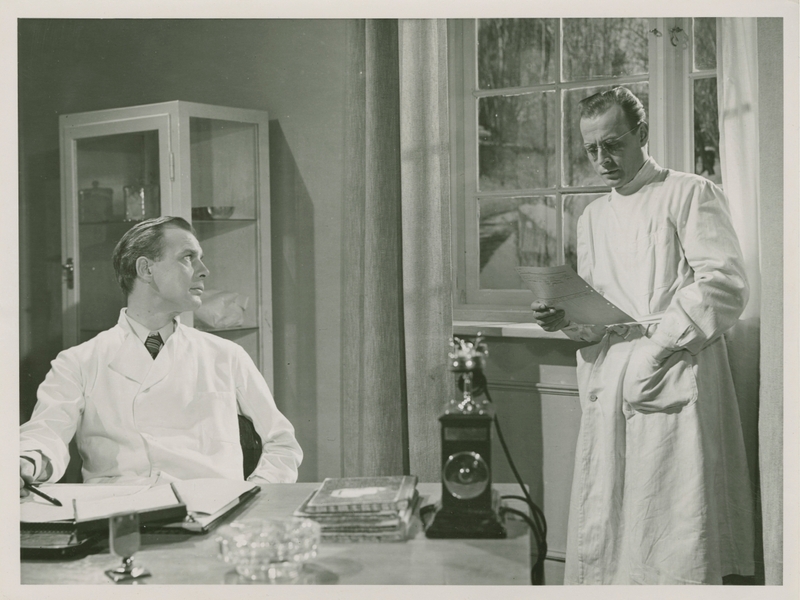 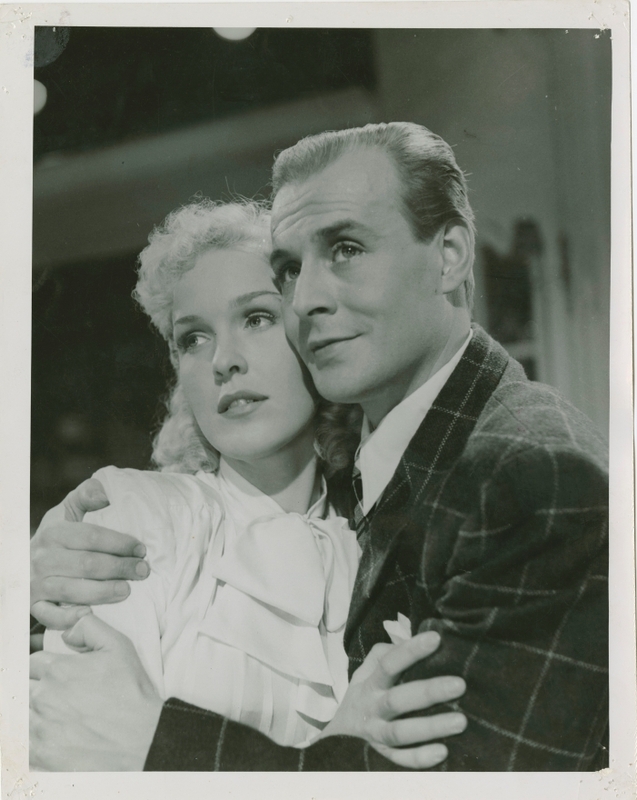 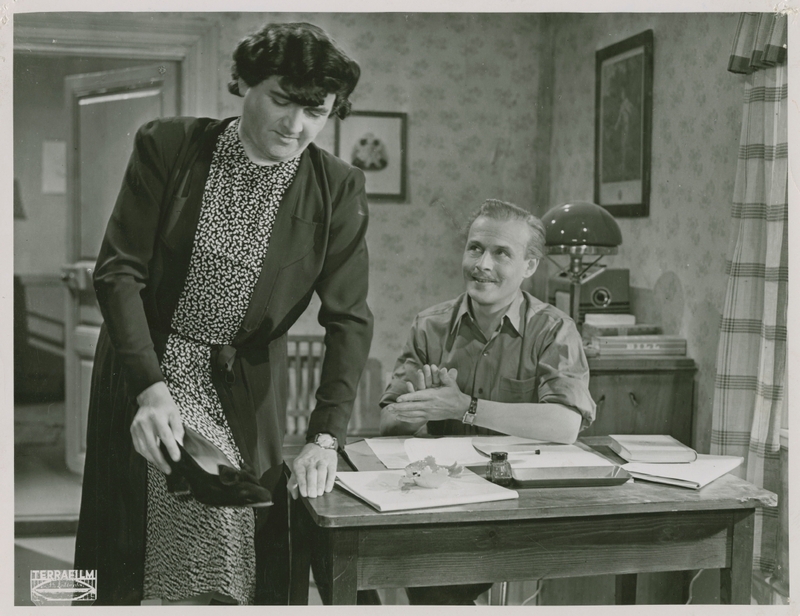 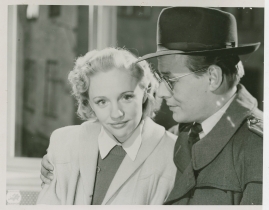 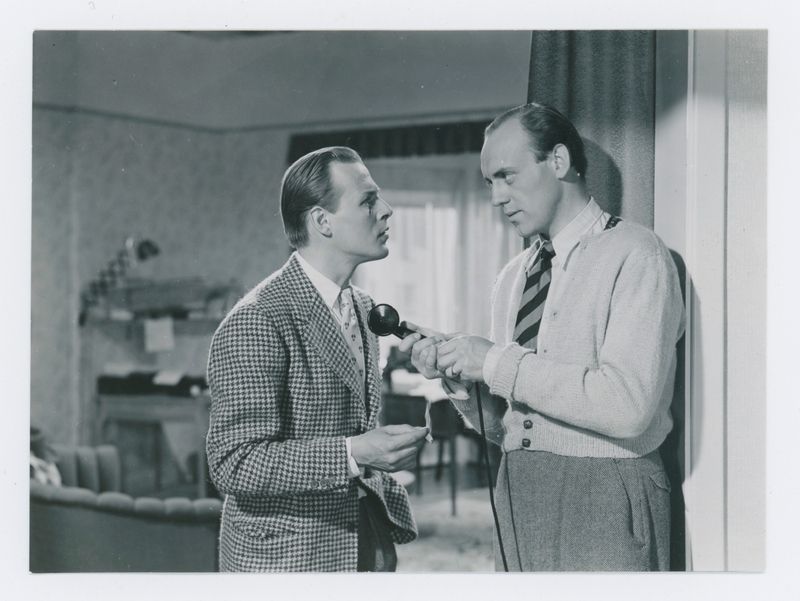 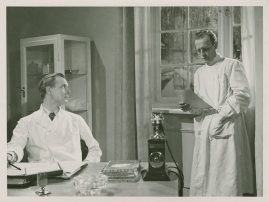 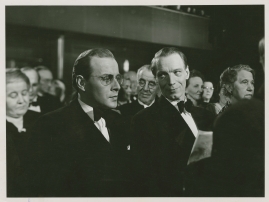 Ekman played an important part in reinstating sophistication into Swedish cinema after the long lull of the 1930s. 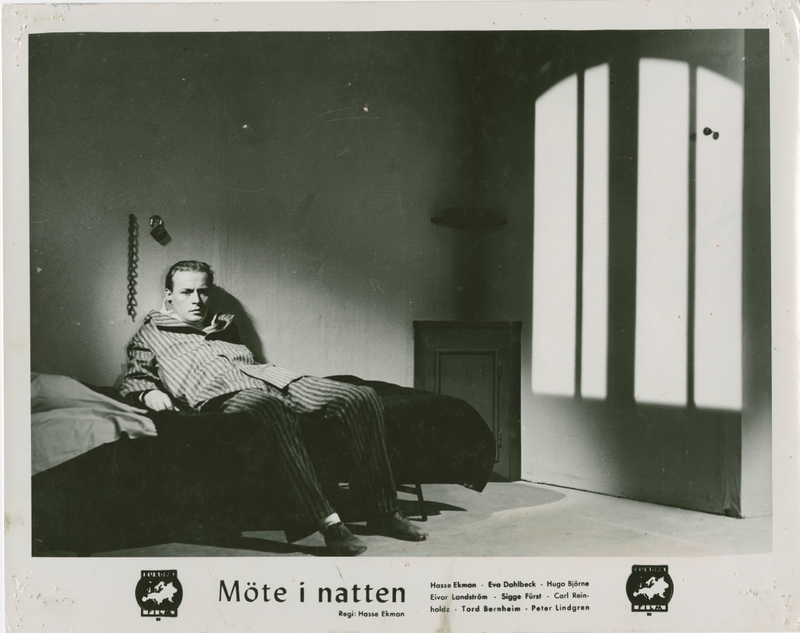 He wrote screenplays for a number of other directors and inspired Bergman in various ways. 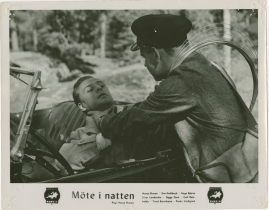 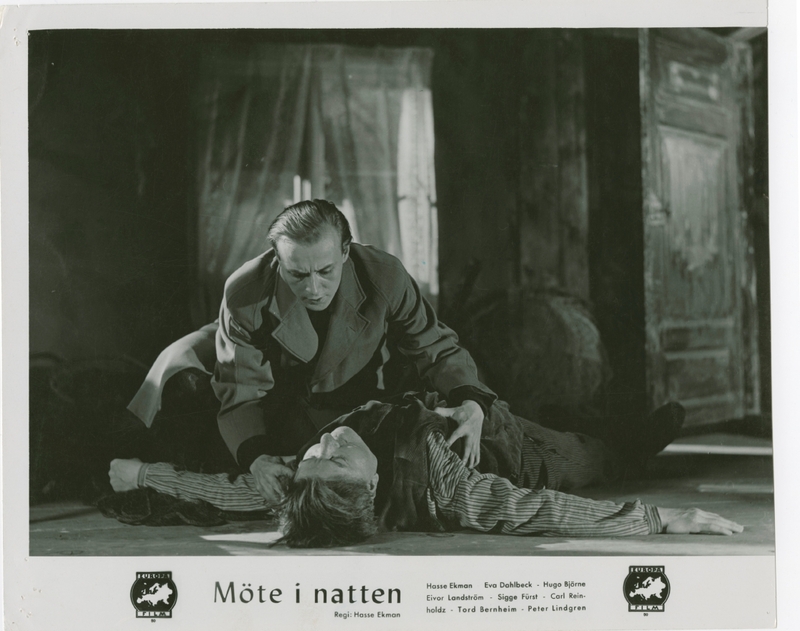 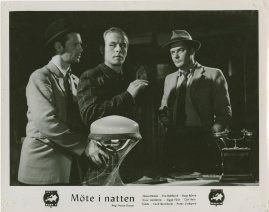 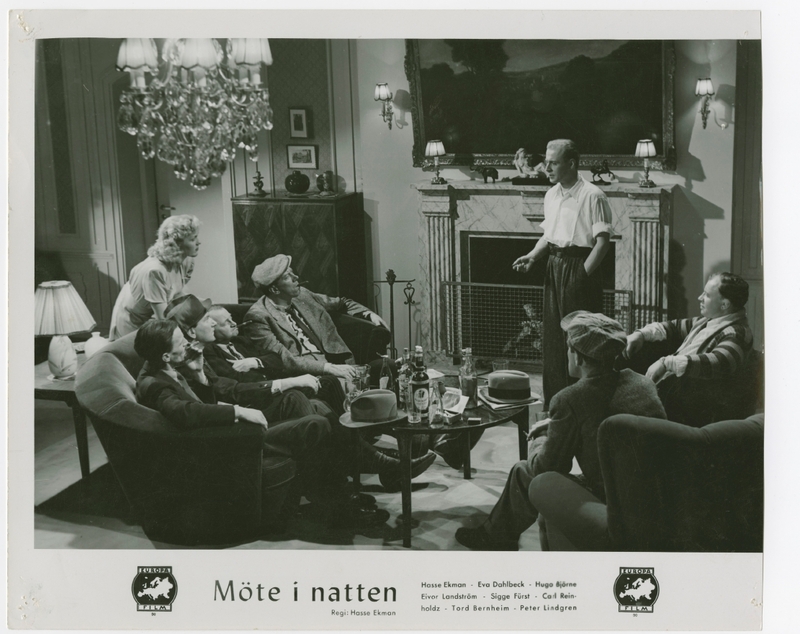 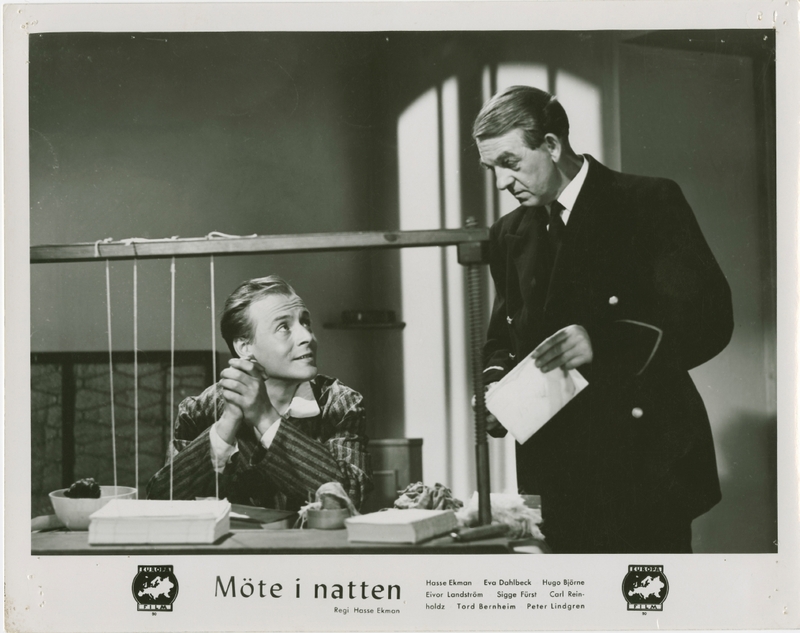 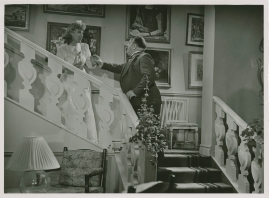 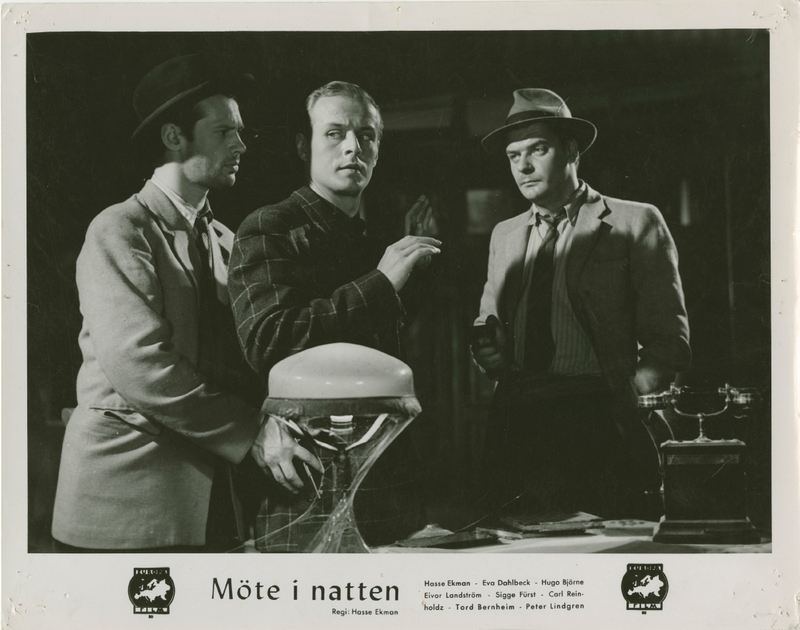 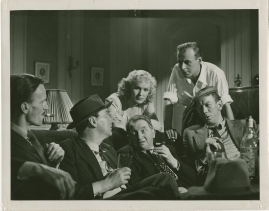 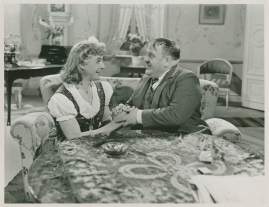 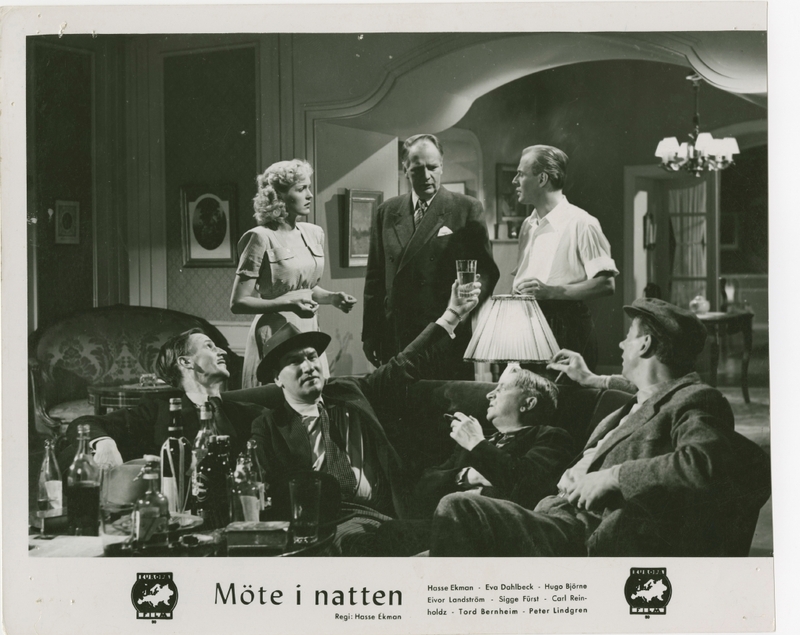 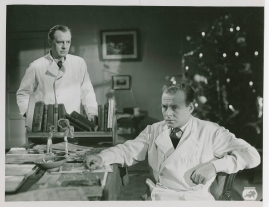 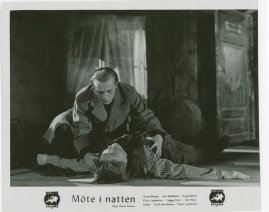 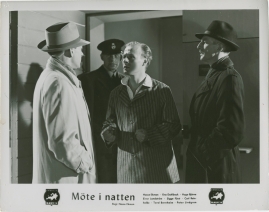 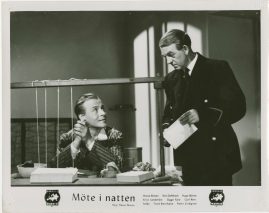 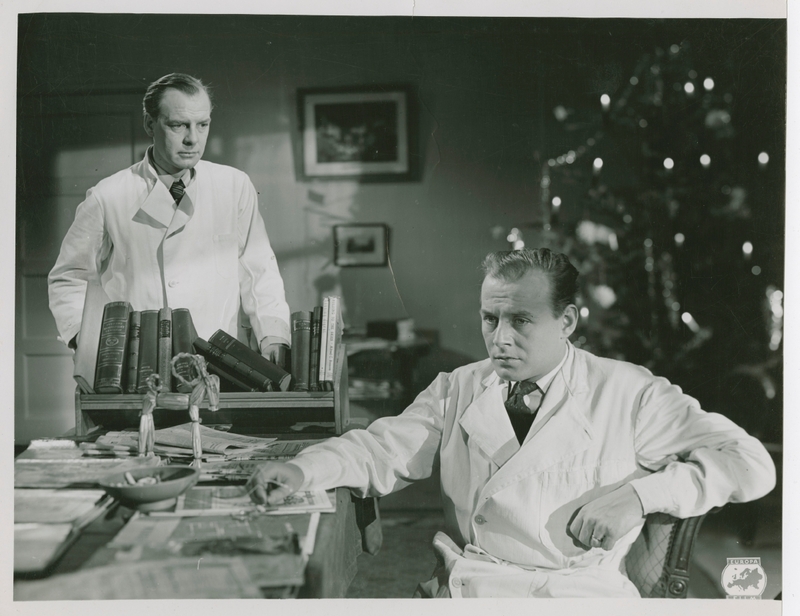 Ekman's Lågor i dunklet ('Flames in the Darkness', 1942), for example, is a clear precursor of Torment (Hets, 1944, US title: Frenzy), directed by Alf Sjöberg from a screenplay by Bergman. 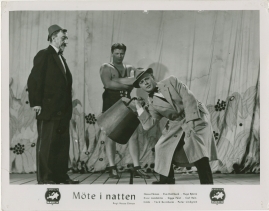 He was also a noteworthy theatre director, not least thanks to his partnership with Povel Ramel and the Knäppupp revues. 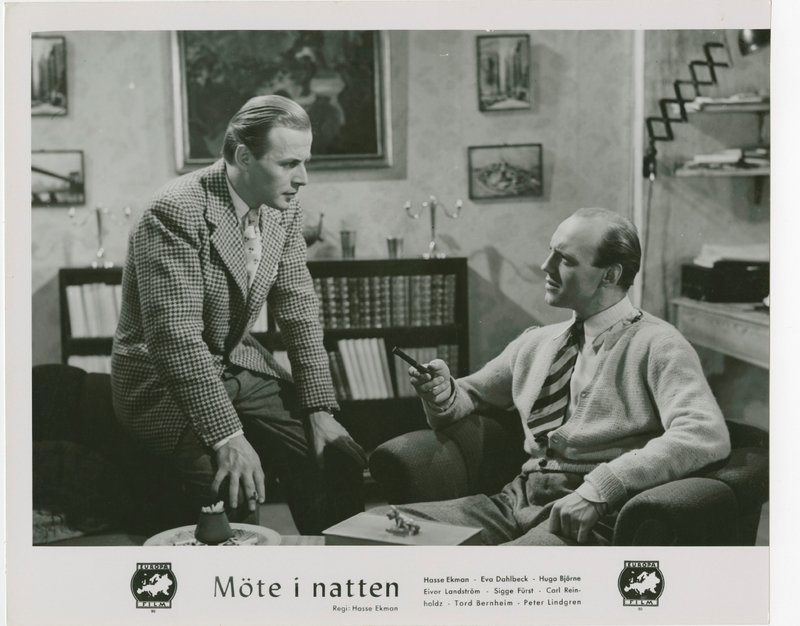 In short, his significance for Swedish cinema and Swedish culture is very extensive, albeit relatively unresearched. 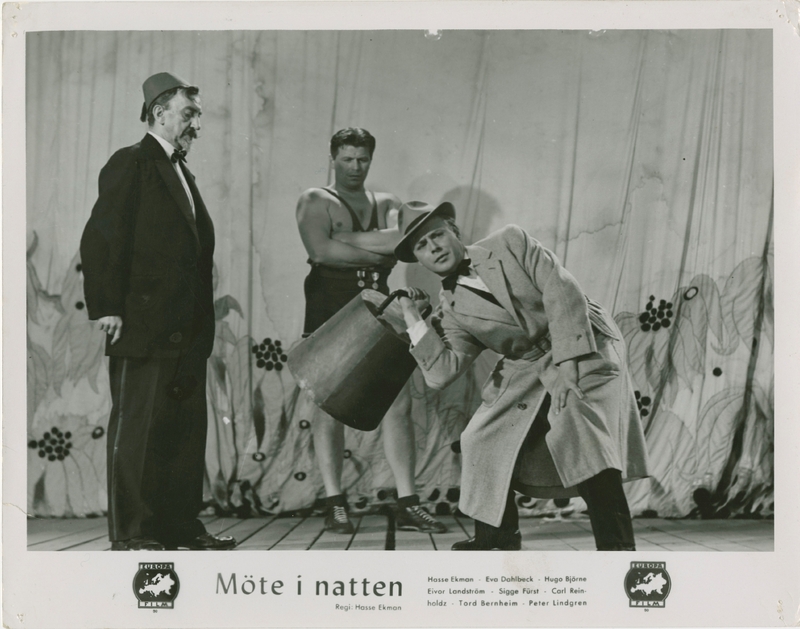 Det blir sommar och sol när du kommer till mej!